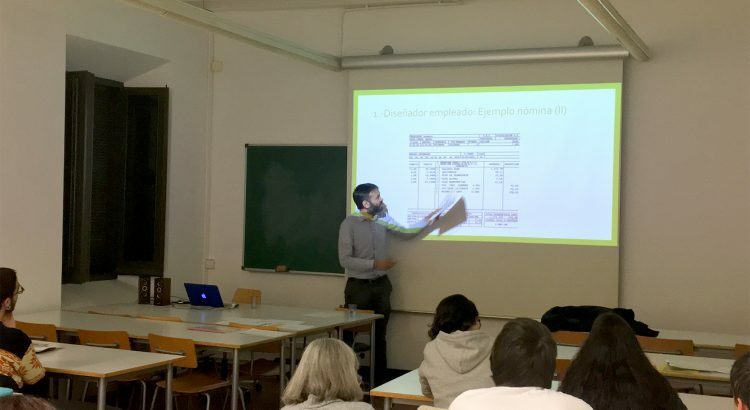 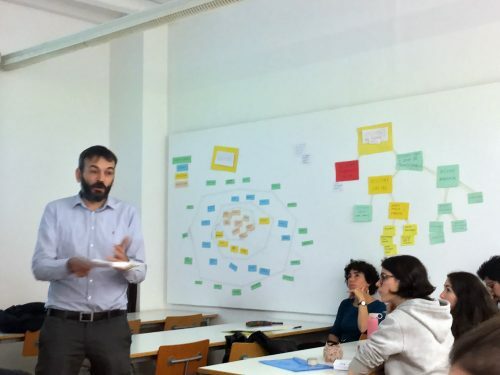 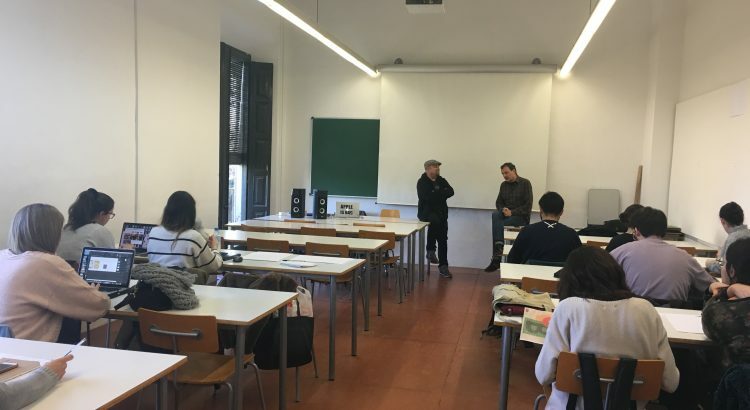 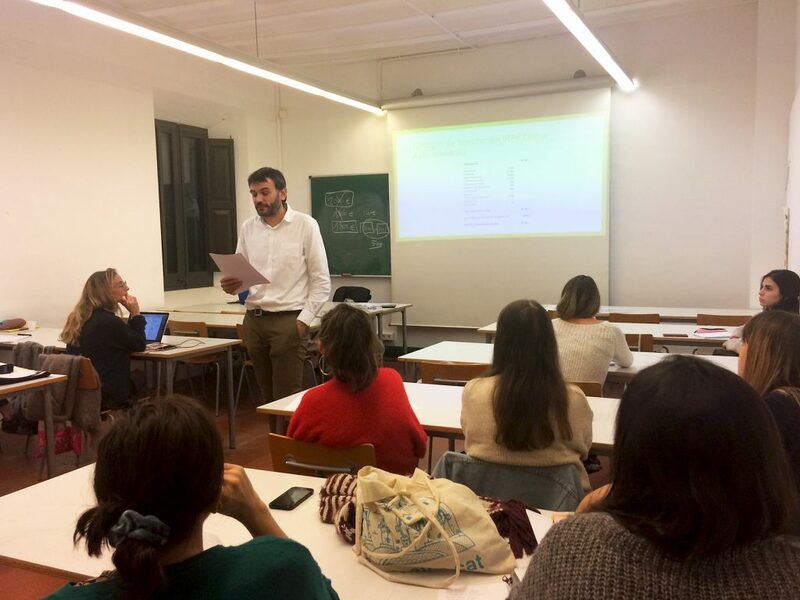 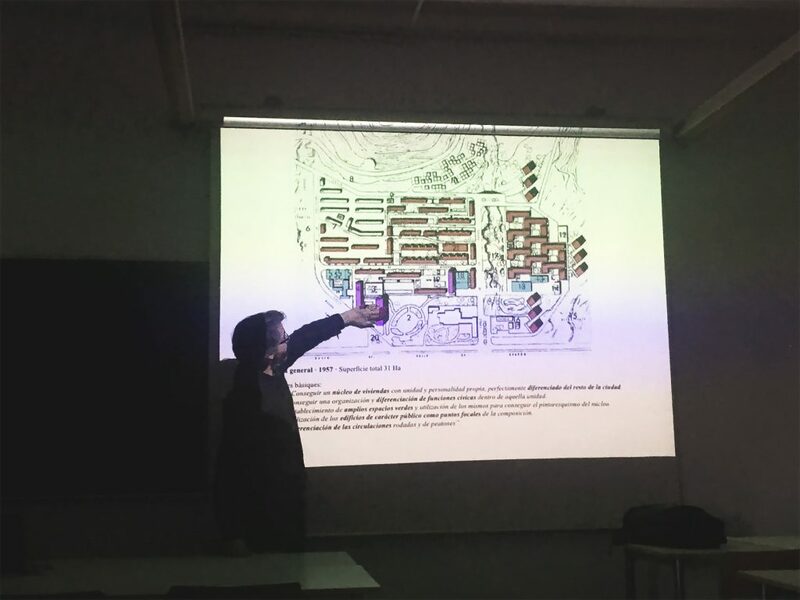 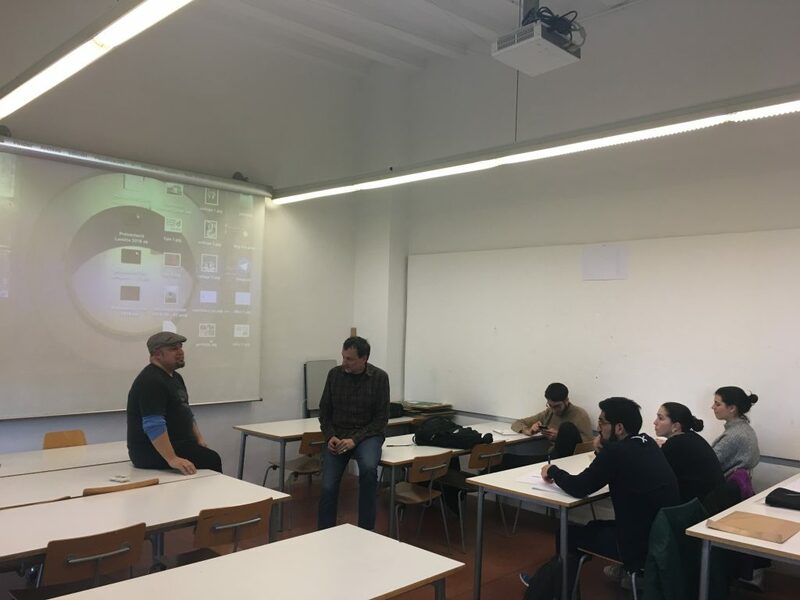 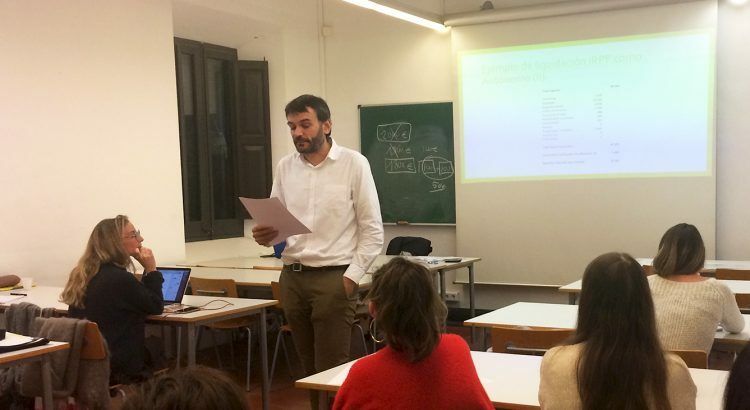 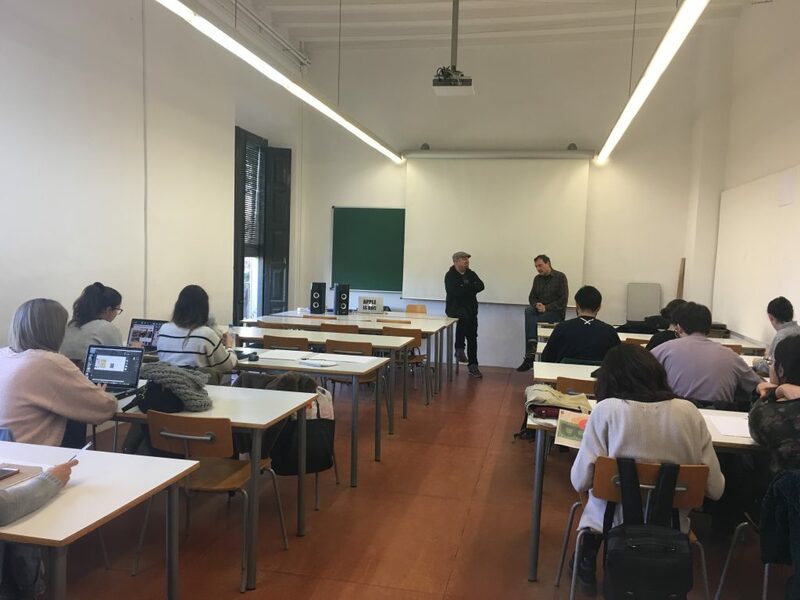 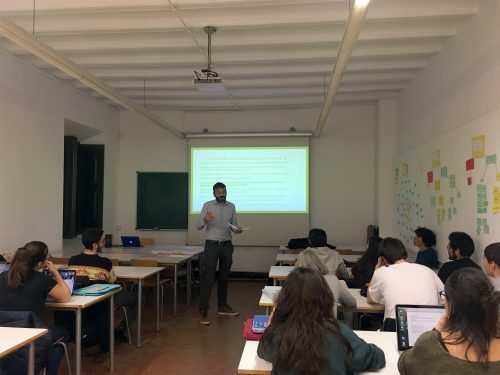 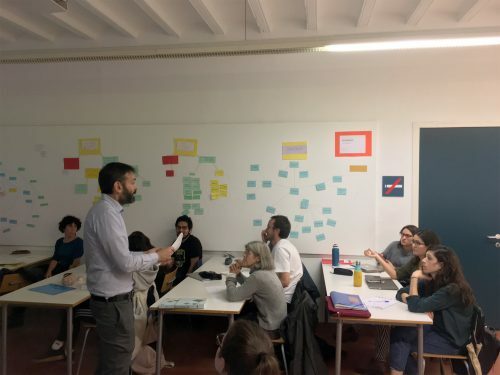 On December 13th, as part of the subject “design project and analysis management”, we had the opportunity to enjoy a lecture by Angel Rocamora, Futbol Club Barcelona’s financial manager and associate professor of tax and financial law at the University of Barcelona (UB). 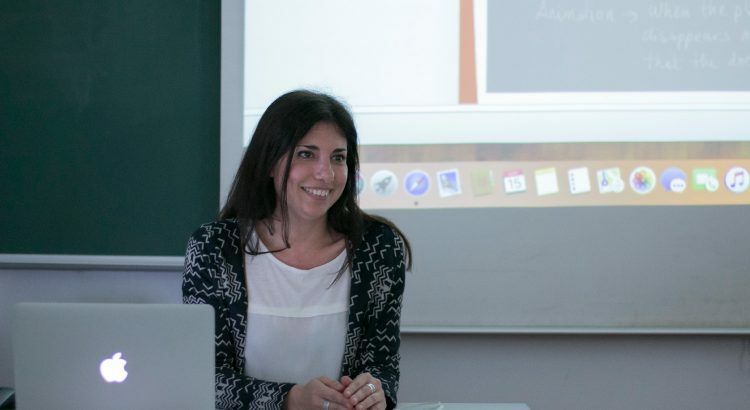 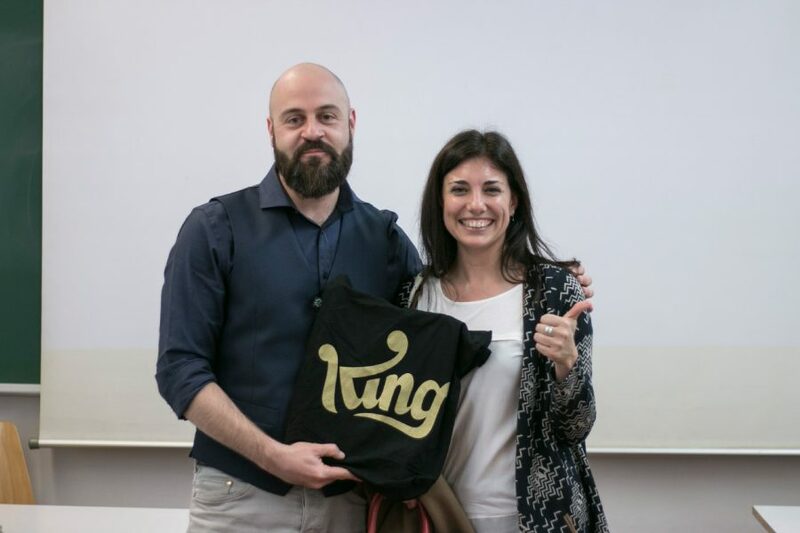 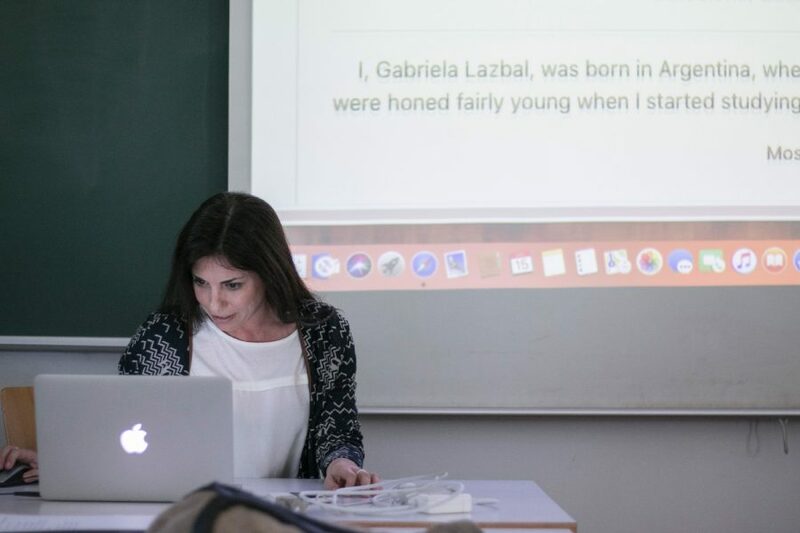 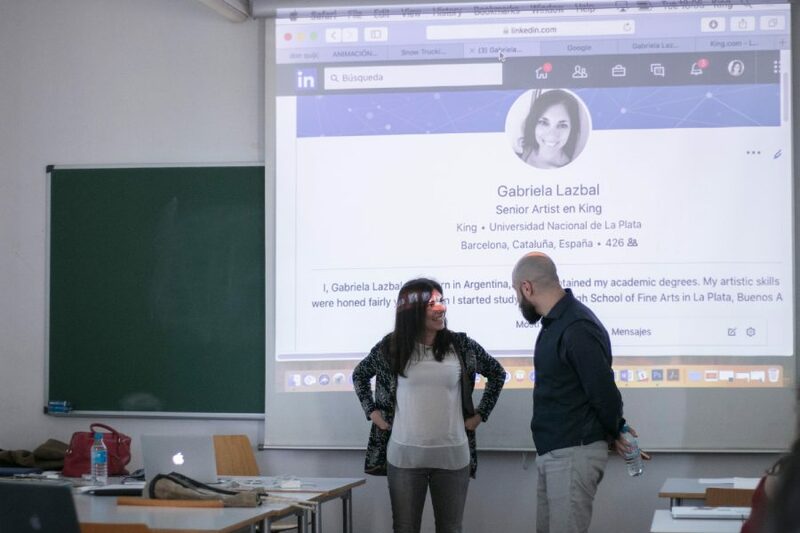 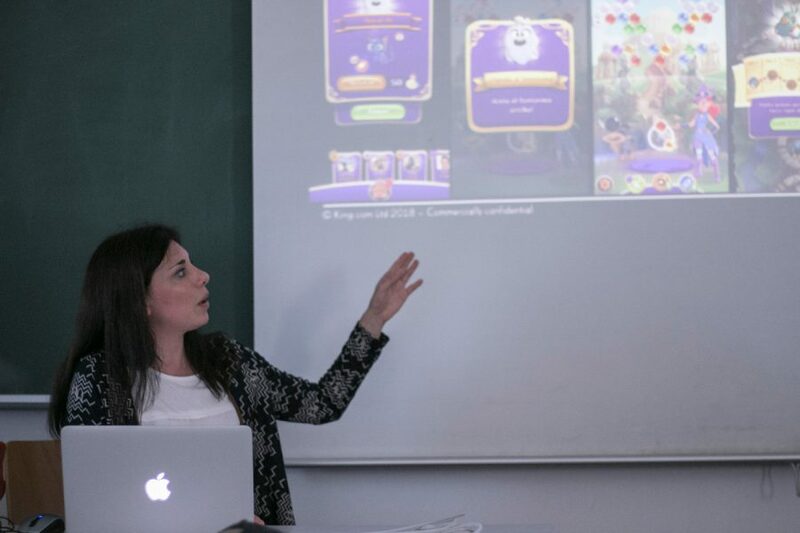 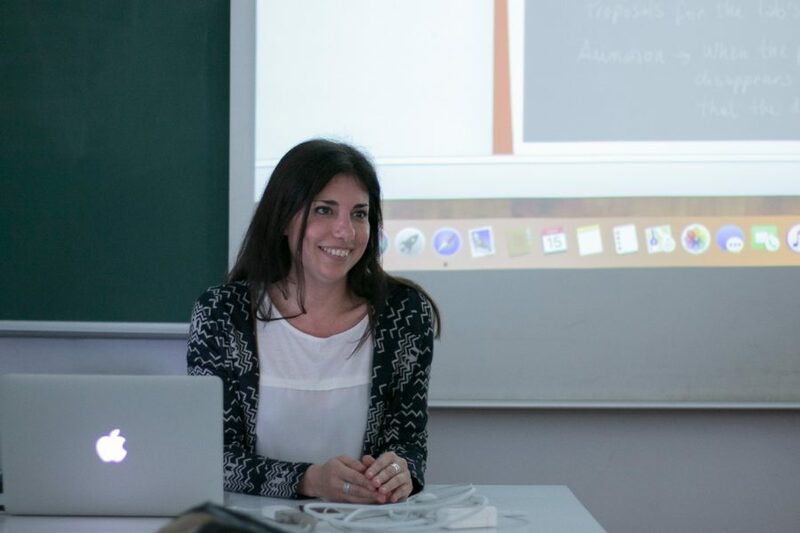 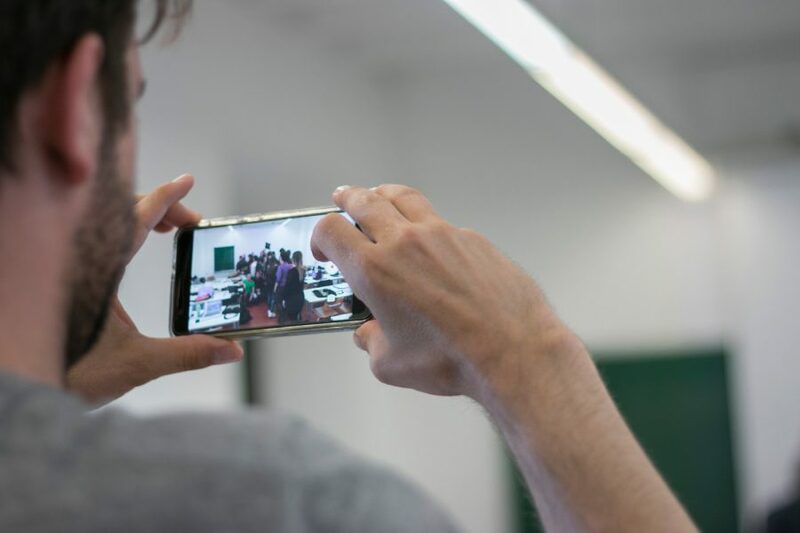 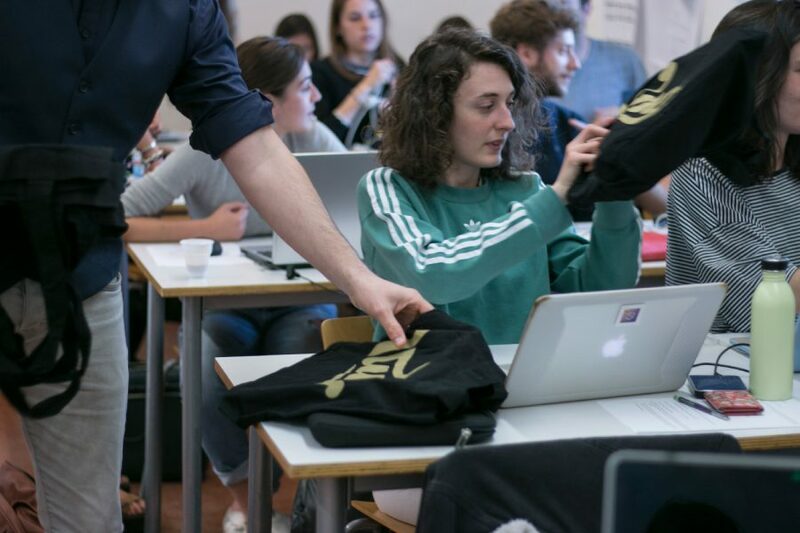 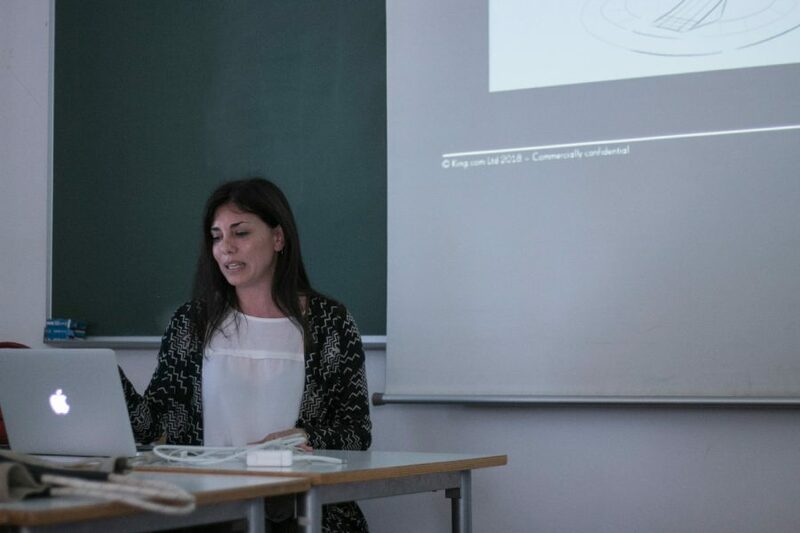 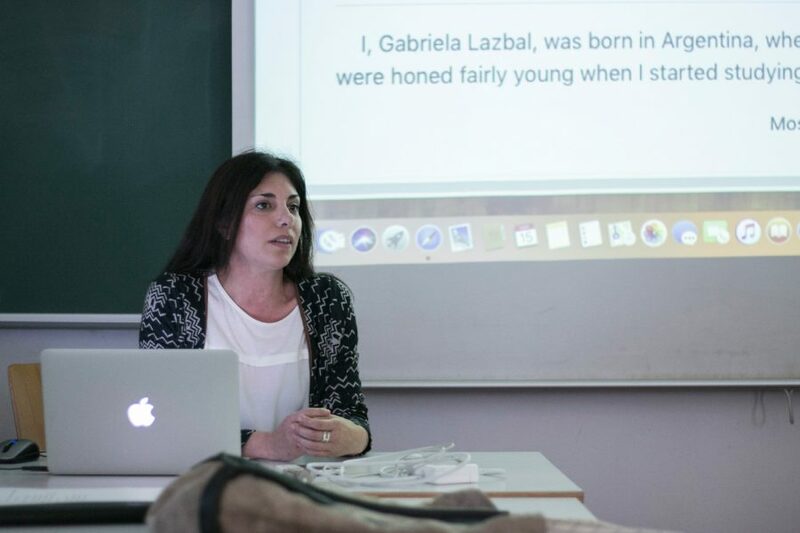 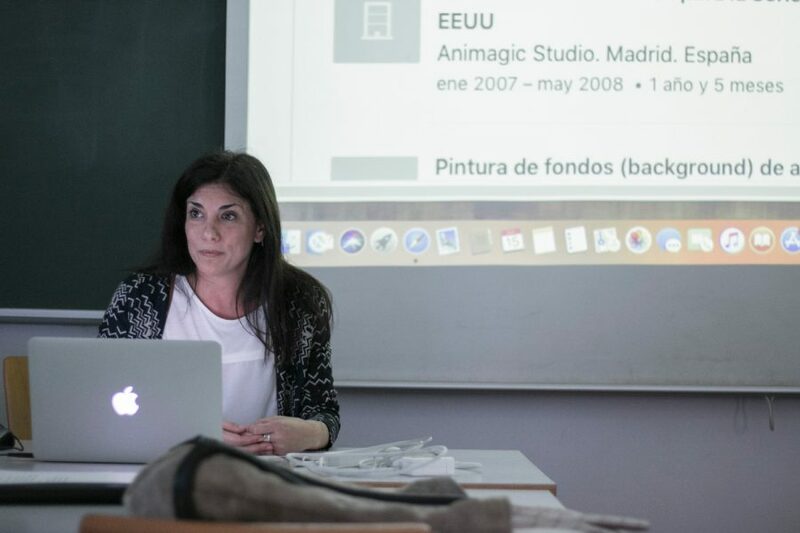 The lecture consisted in a masterclass on a graphic designer’s fiscal and social obligations. 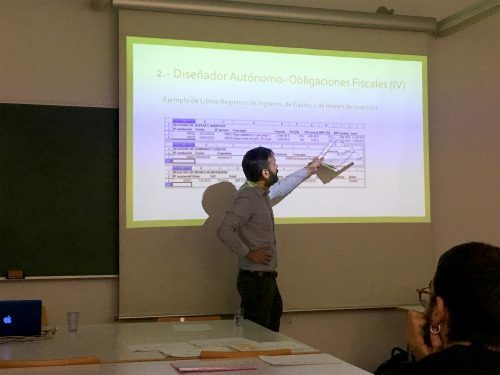 Some of the issues covered were basic concepts (such as direct taxes and indirect taxes, or the functions of the Tax Agency and the Social Security), conditions when you are working for a company, circumstances when you work as a freelancer, and advantages and disadvantages of founding a society. 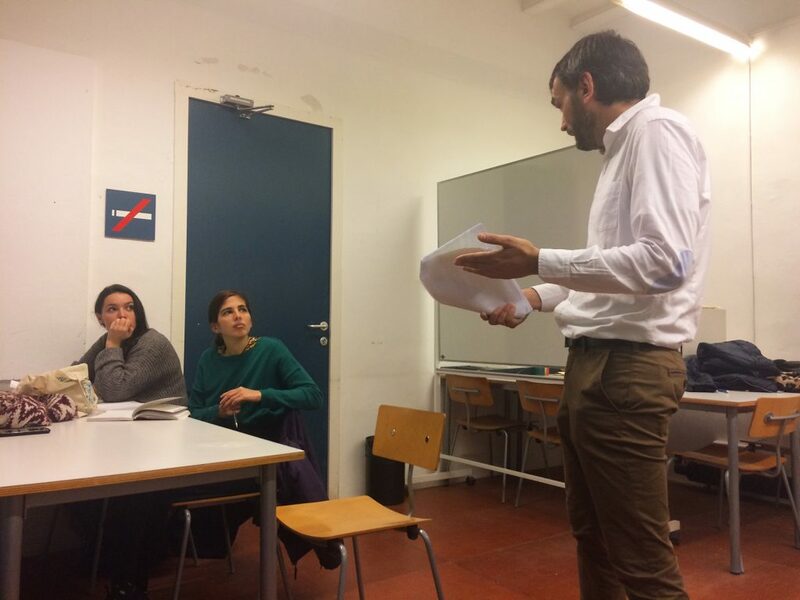 Angel expressed himself clearly and patiently, and he even answered all of our questions by the end of the session. 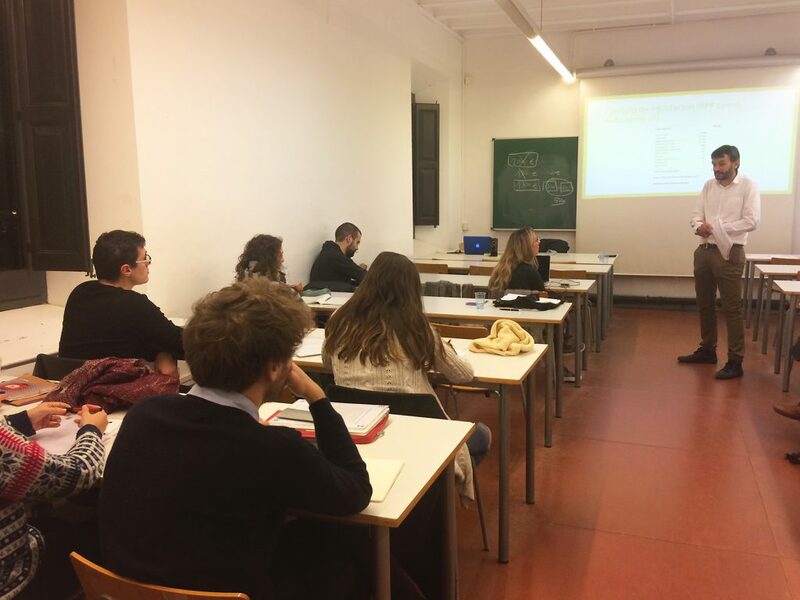 It was a very useful lecture, contributing to a greater mastery of the topic and a much needed orientation towards our professional future. 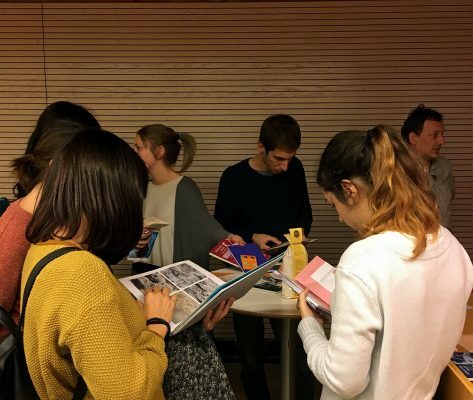 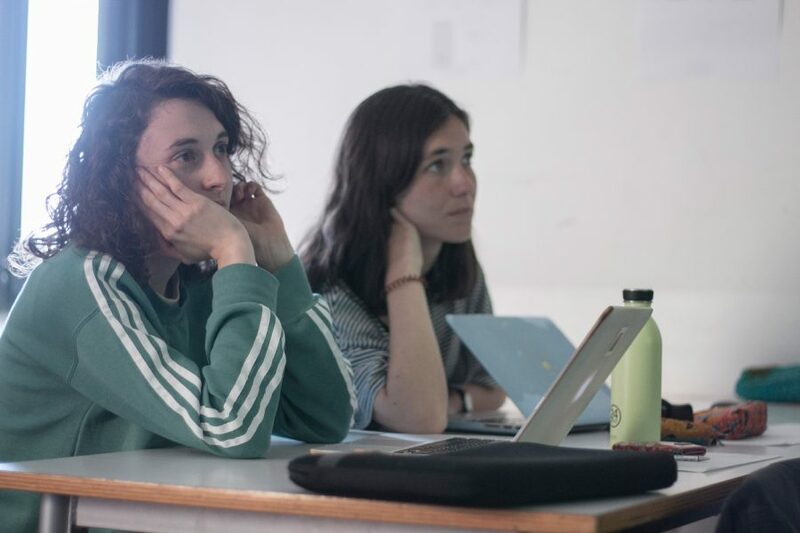 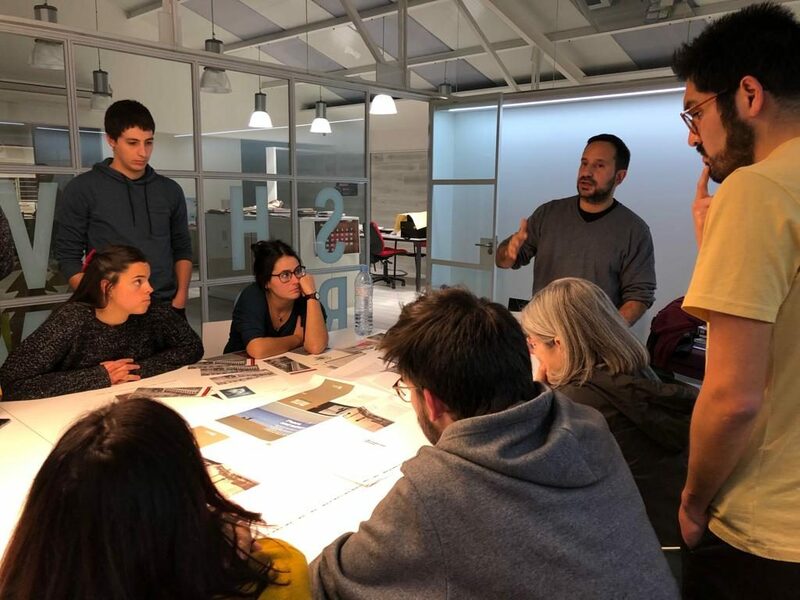 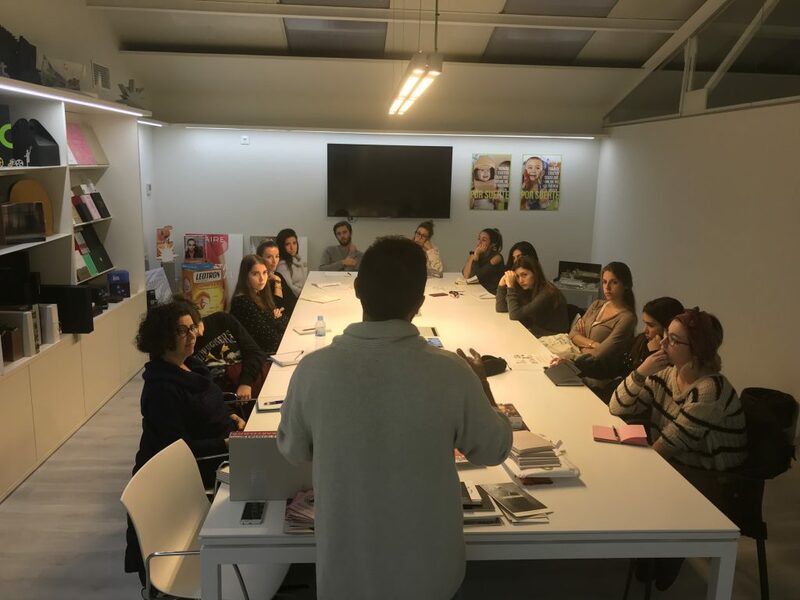 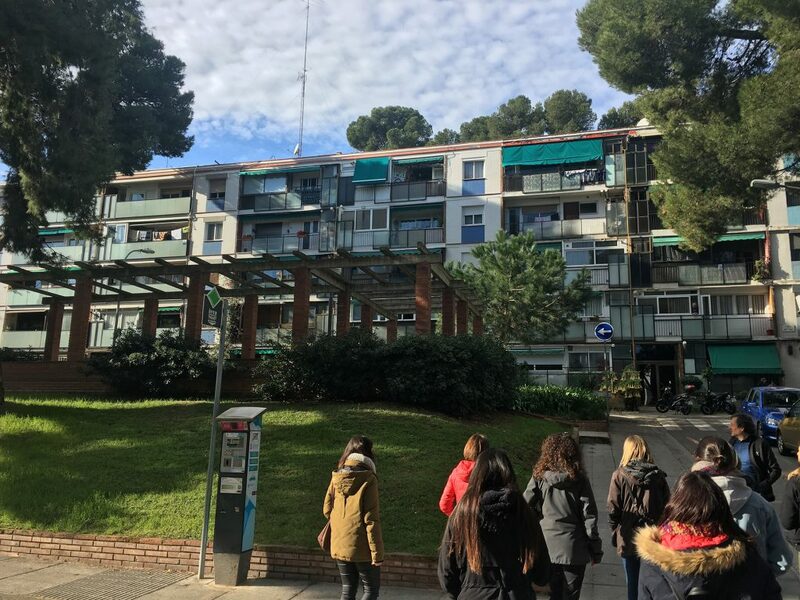 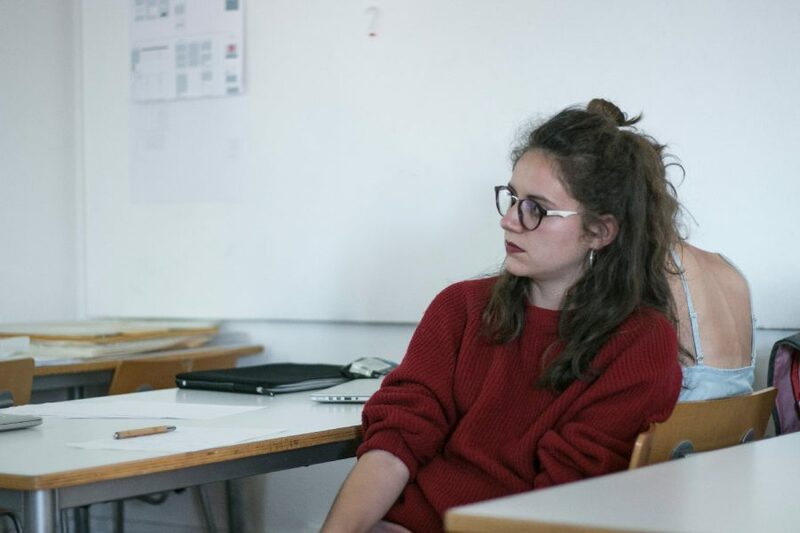 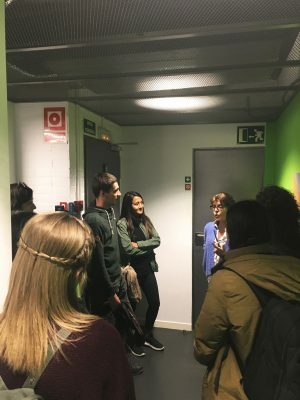 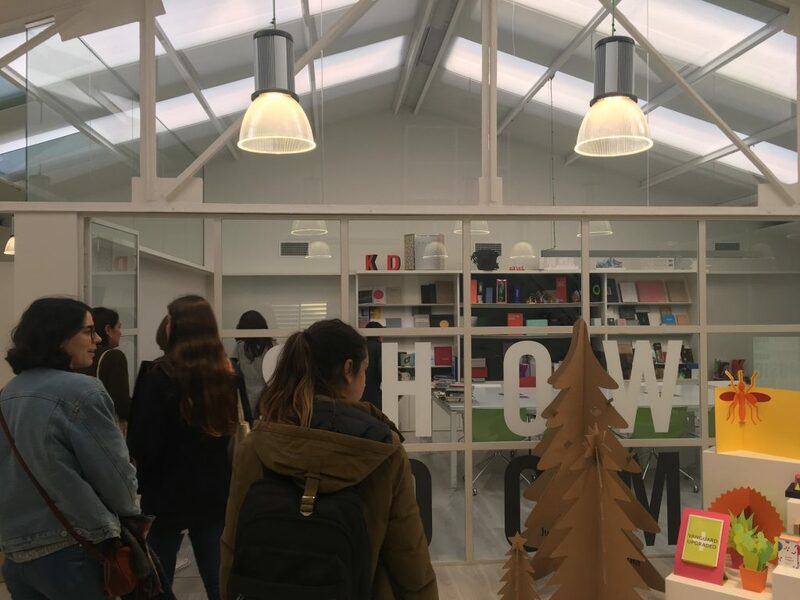 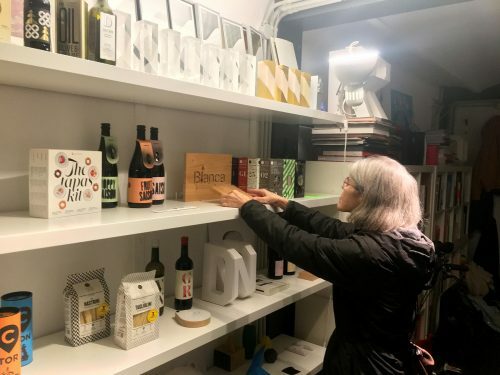 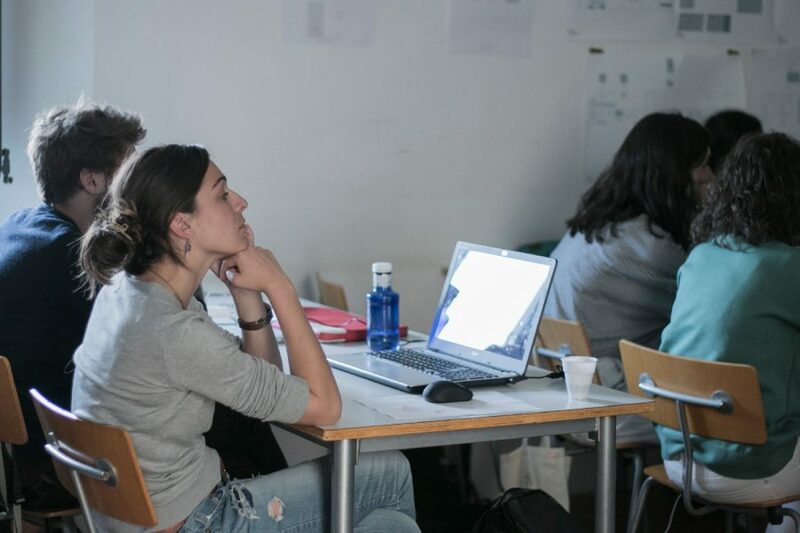 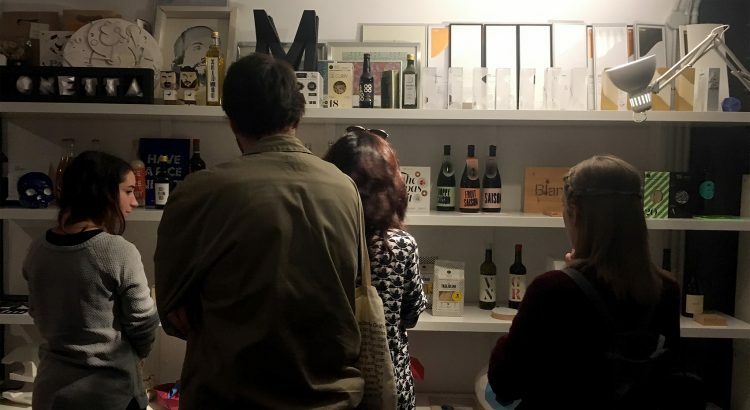 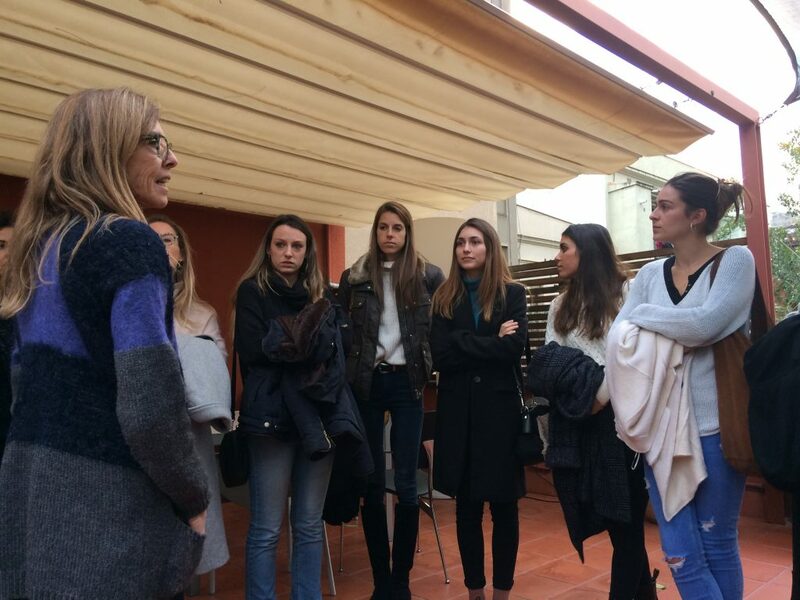 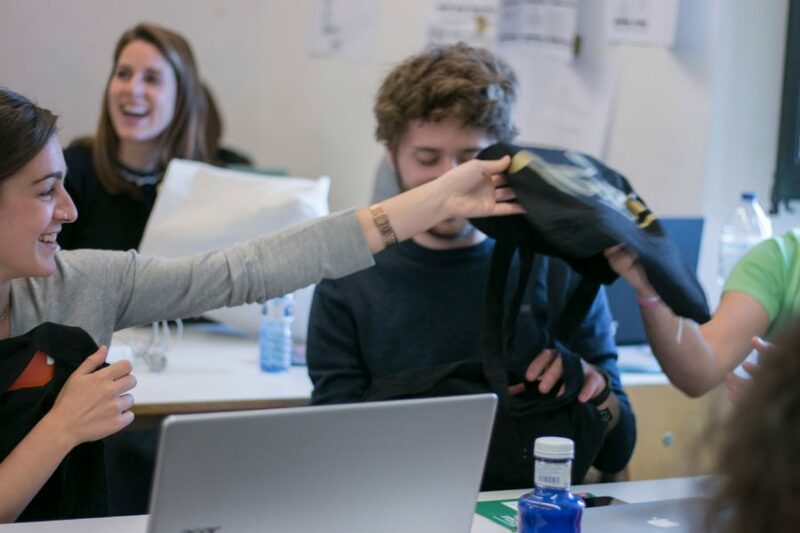 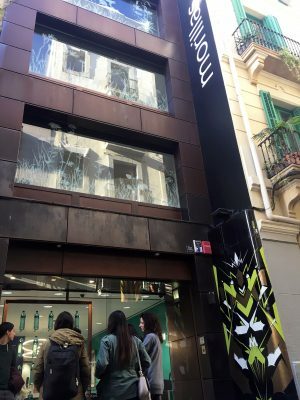 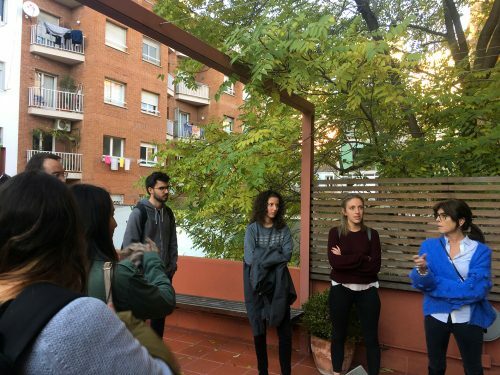 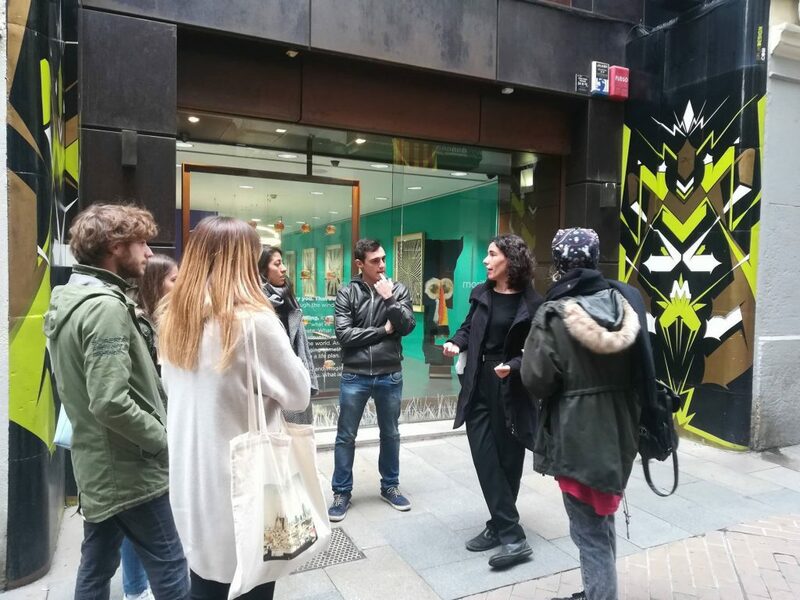 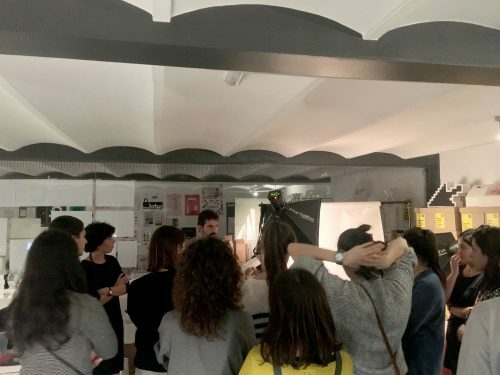 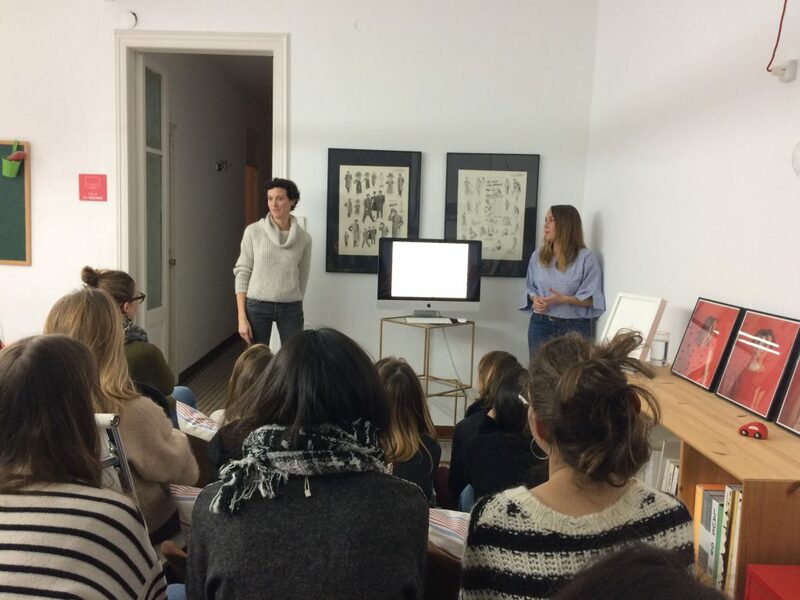 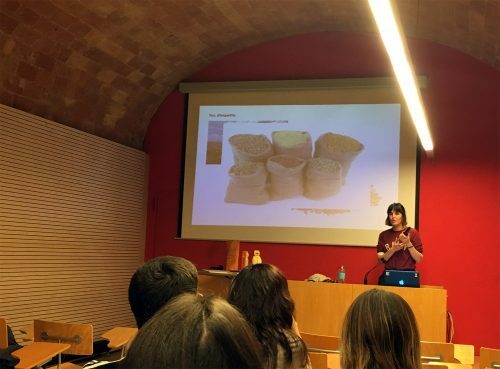 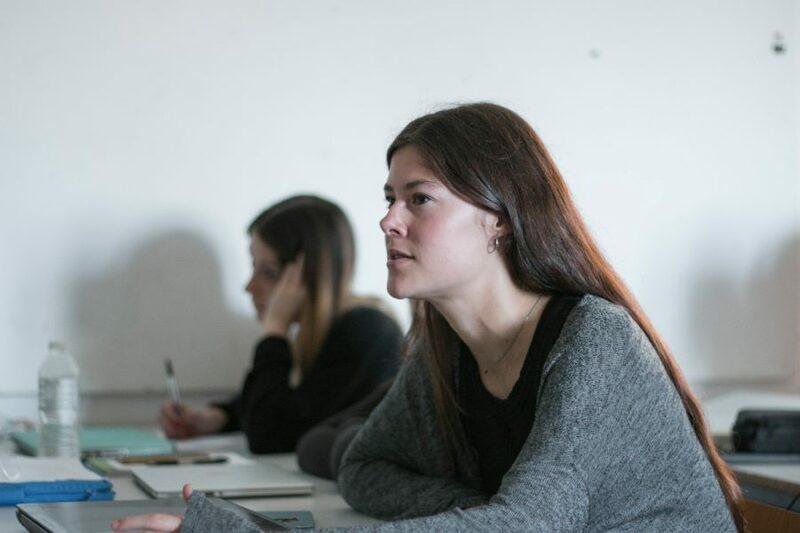 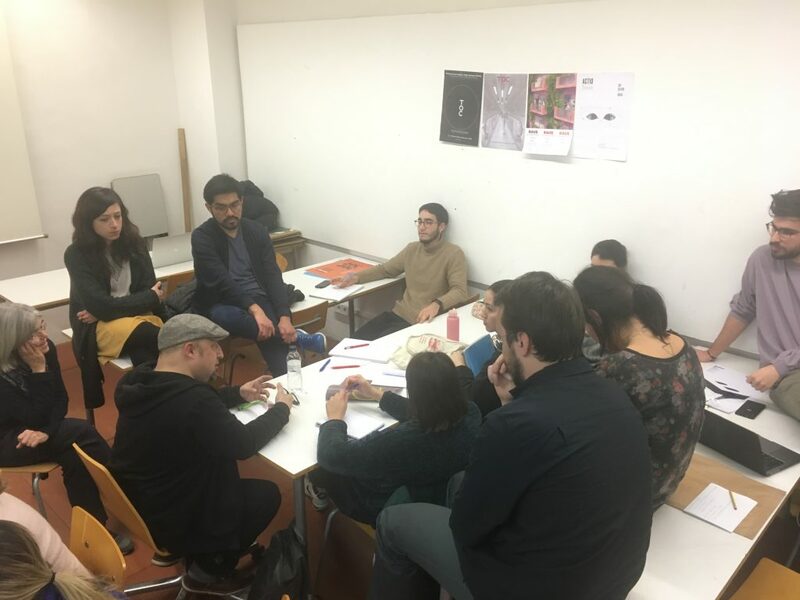 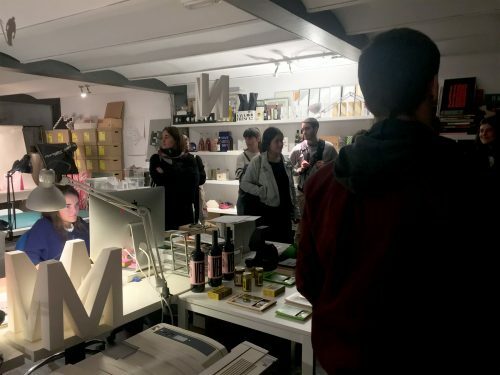 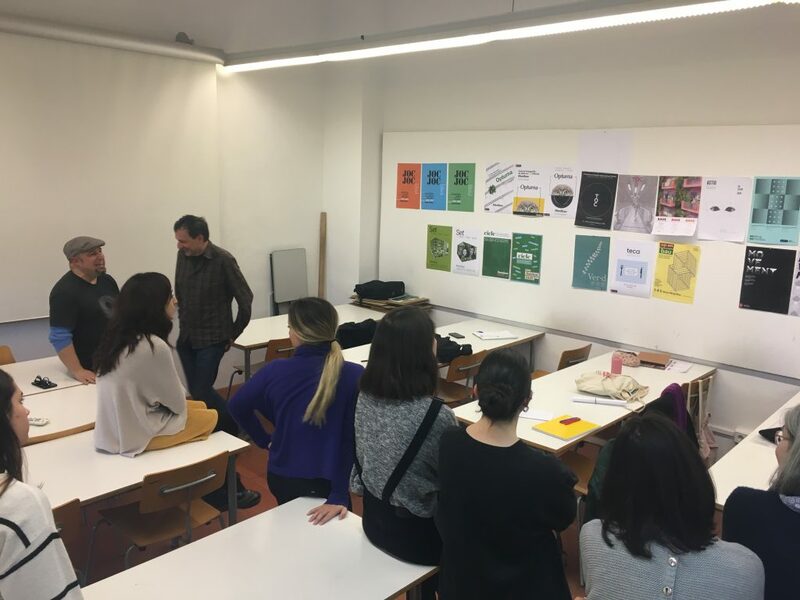 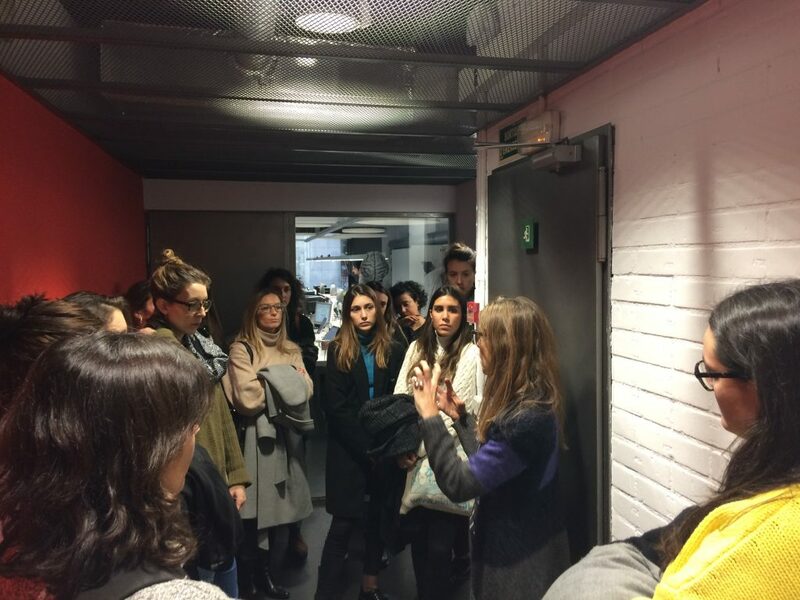 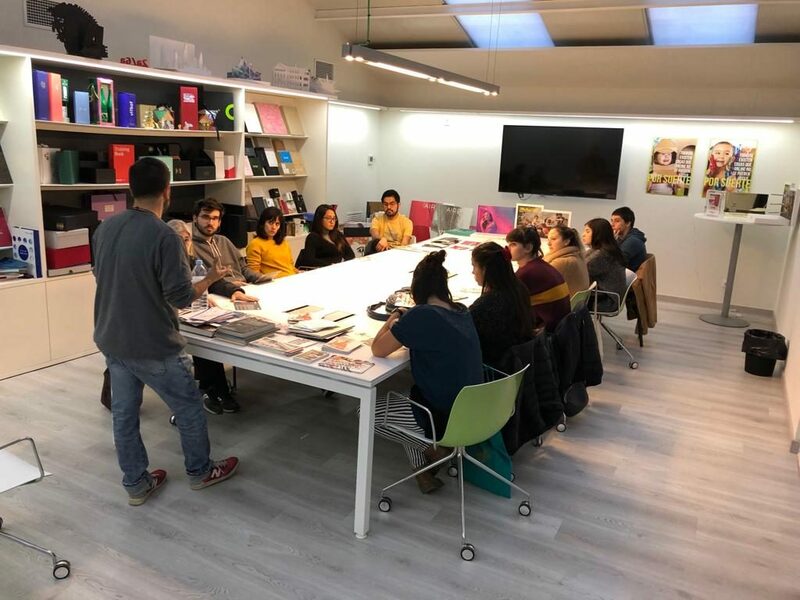 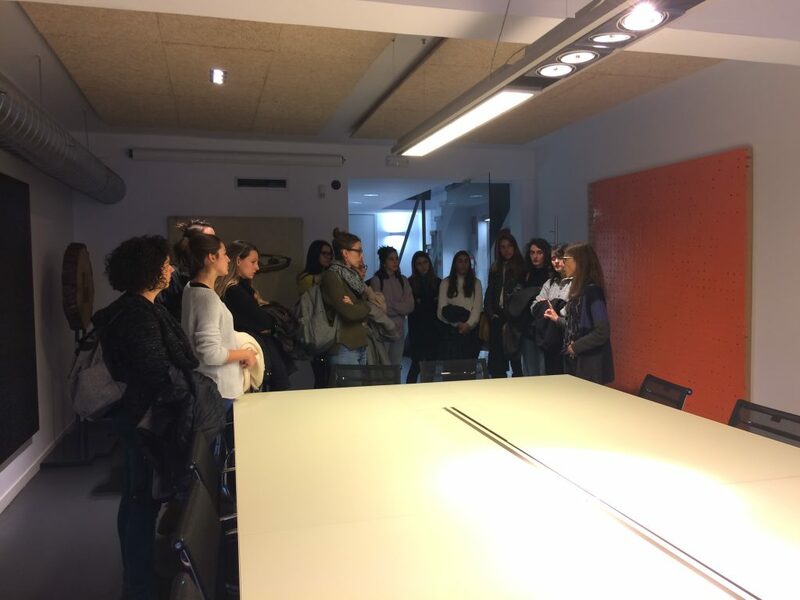 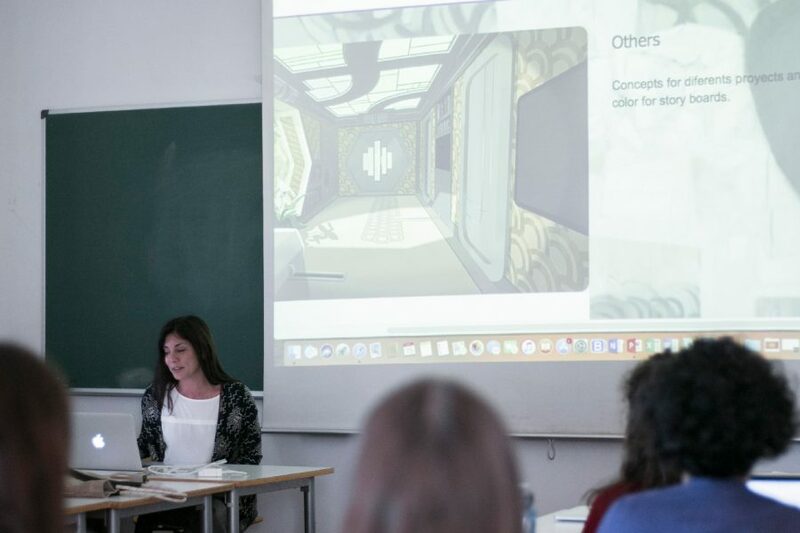 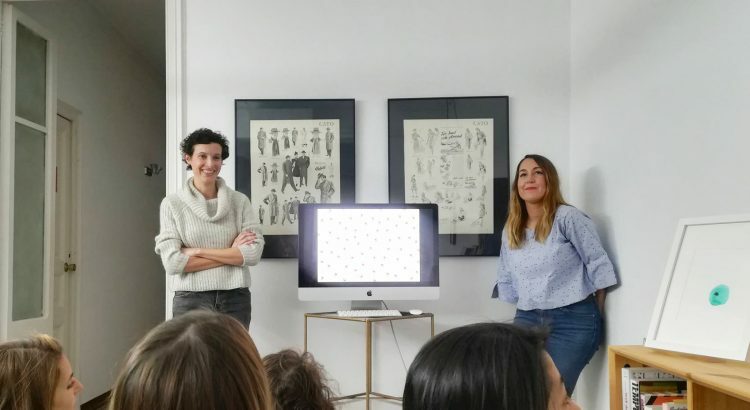 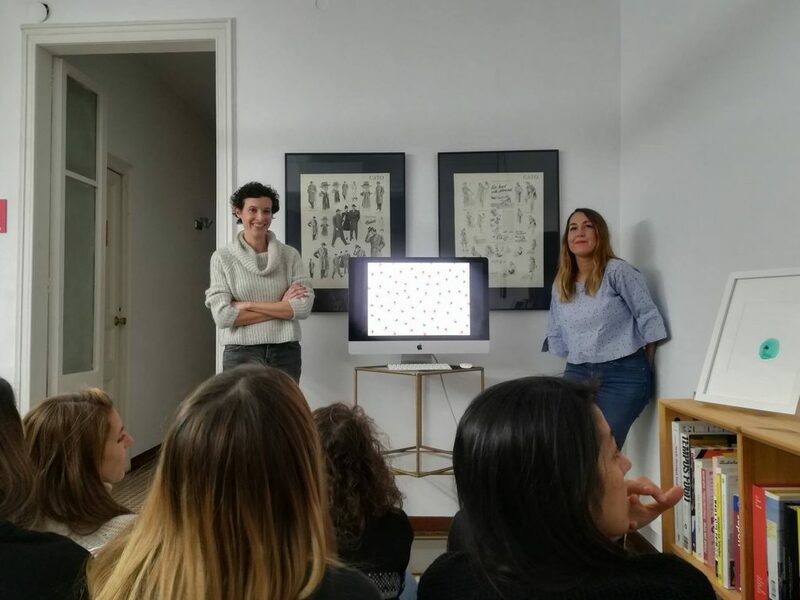 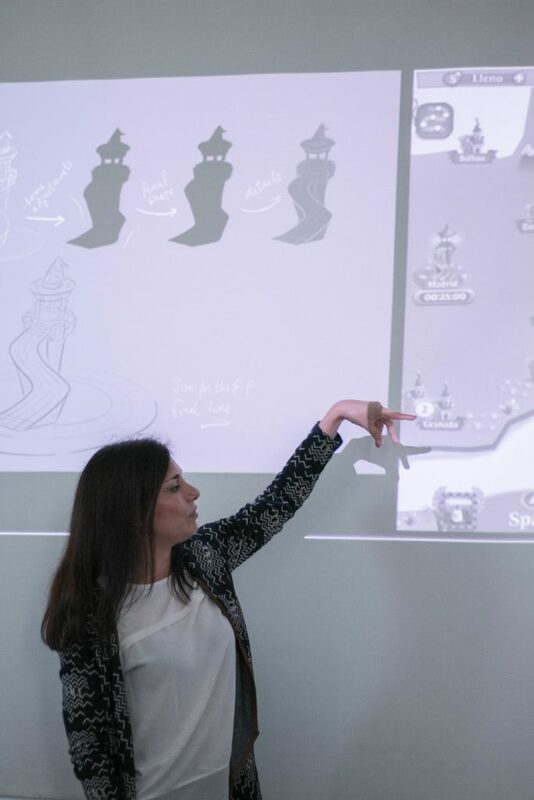 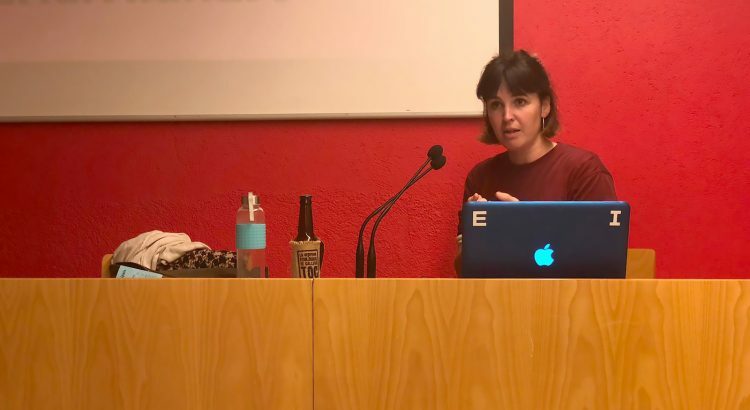 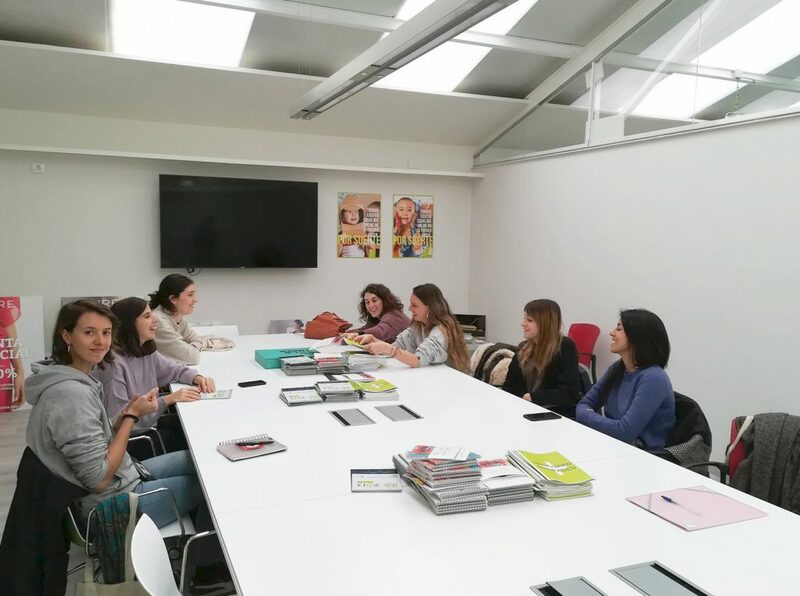 On November 29th, as part of the “design project and analysis management” subject, we visited two different centres: the Morillas agency and TheRoomRooms’ studio. 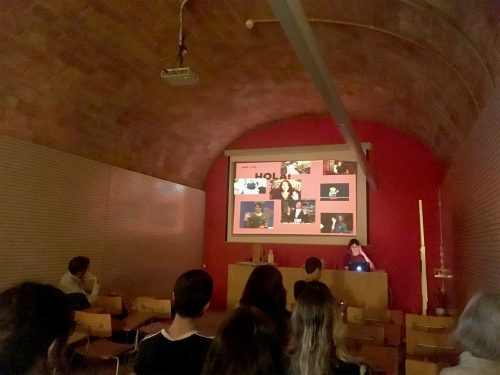 Morillas is an international branding agency founded on 1962 in Barcelona by Antoni Morillas. 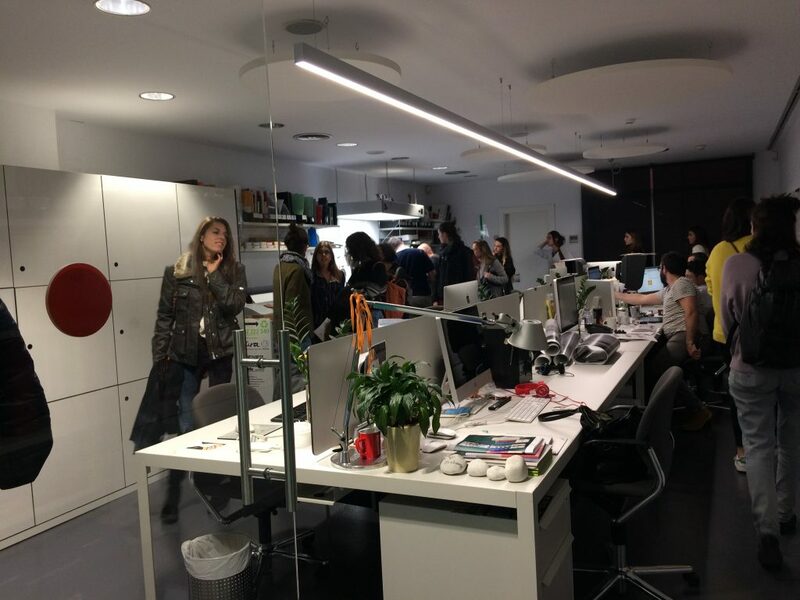 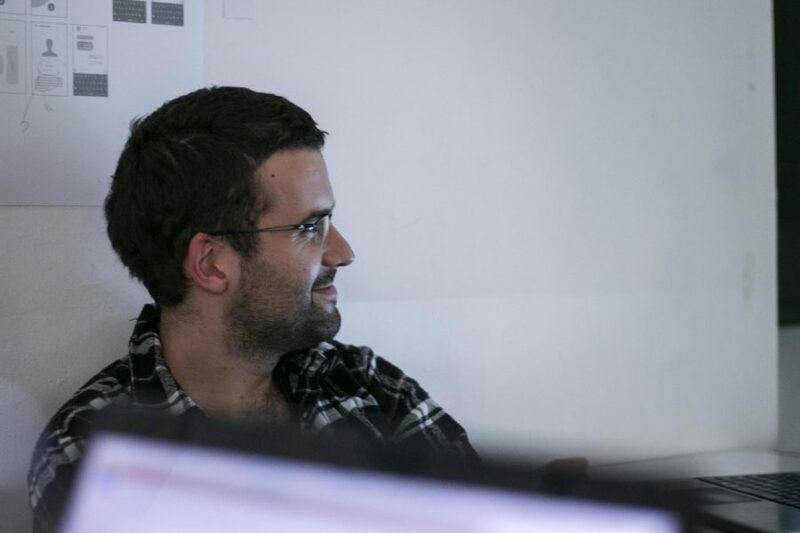 It has offices in Barcelona, Madrid, Tel Aviv, Sao Paulo and Guatemala, and it specializes in big brands’ public image. 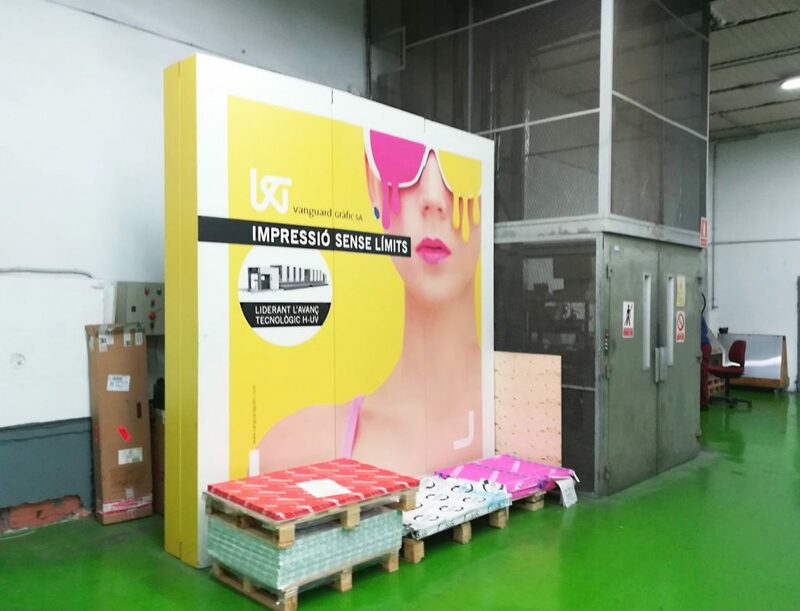 From its many departments, distributed in five floors, it can solve a business’ naming, identity, commercial strategy or packaging. 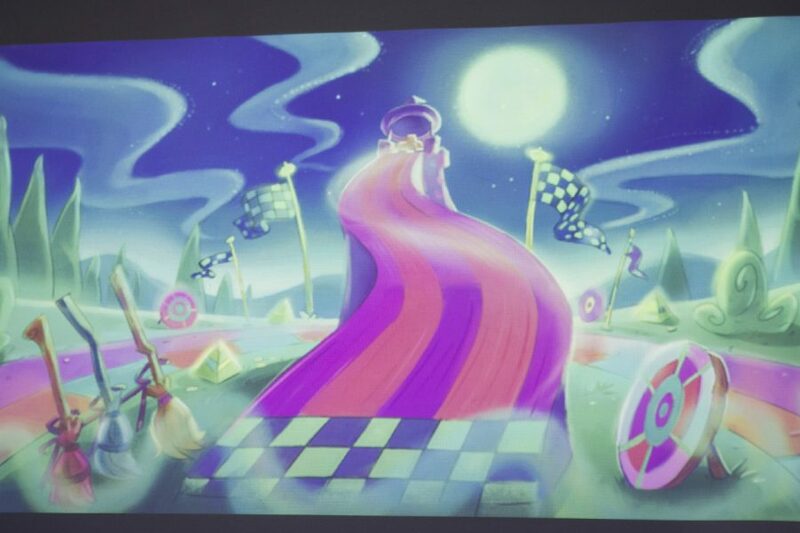 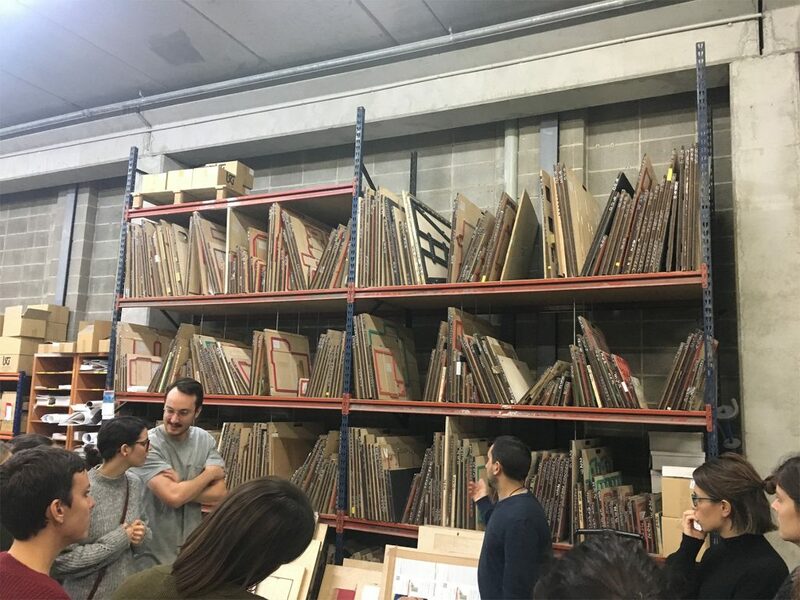 Apart from taking a tour around the company’s facilities and seeing how its employees work, we could there learn a little about its founder and appreciate some of his works of art. 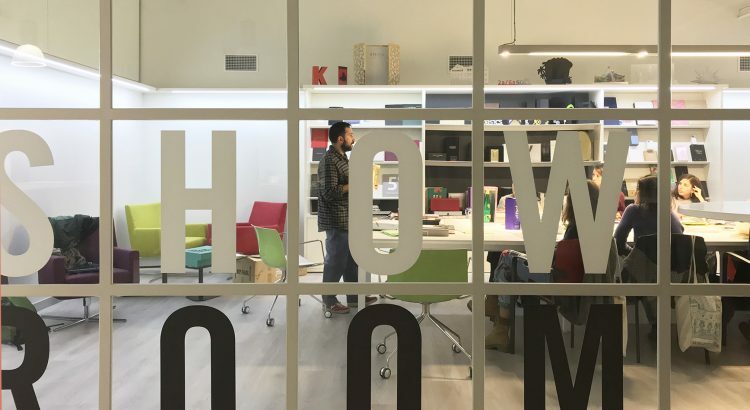 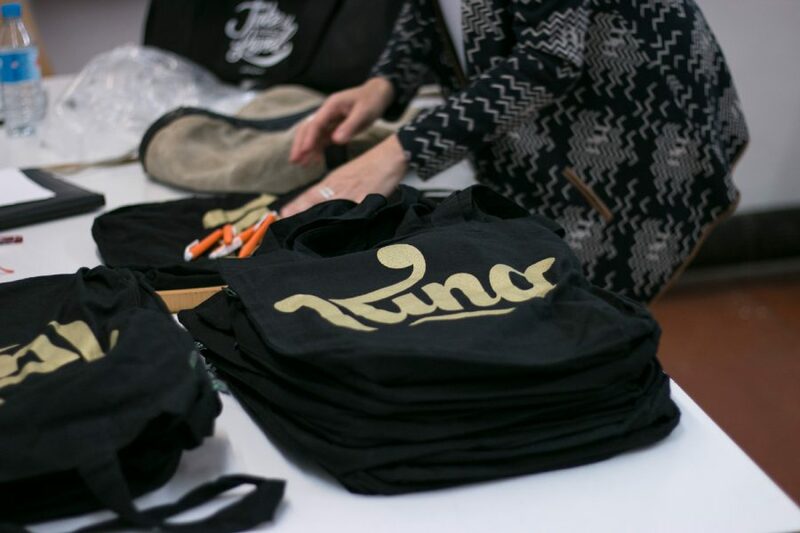 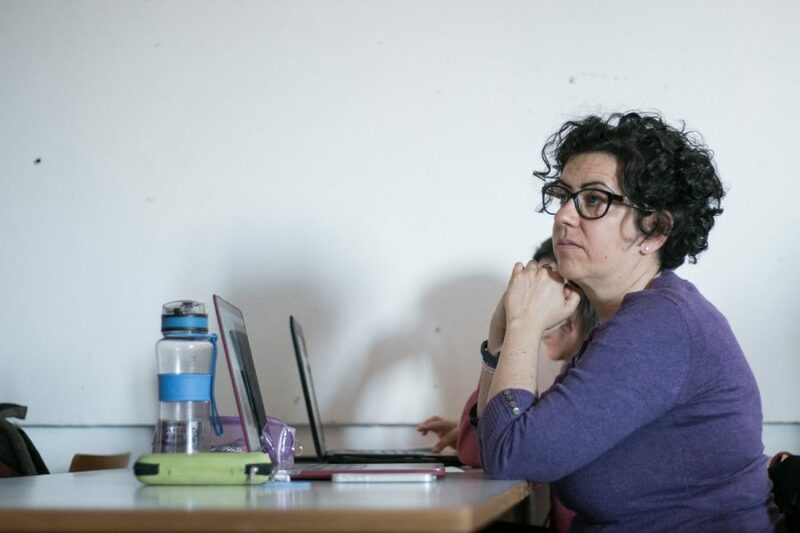 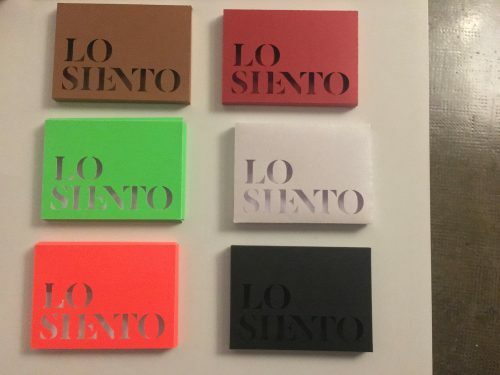 TheRoomRooms, on the other hand, is a small communication and graphic design agency with almost 8 years of experience composed of three women, Blanca, Gemma and Elena. 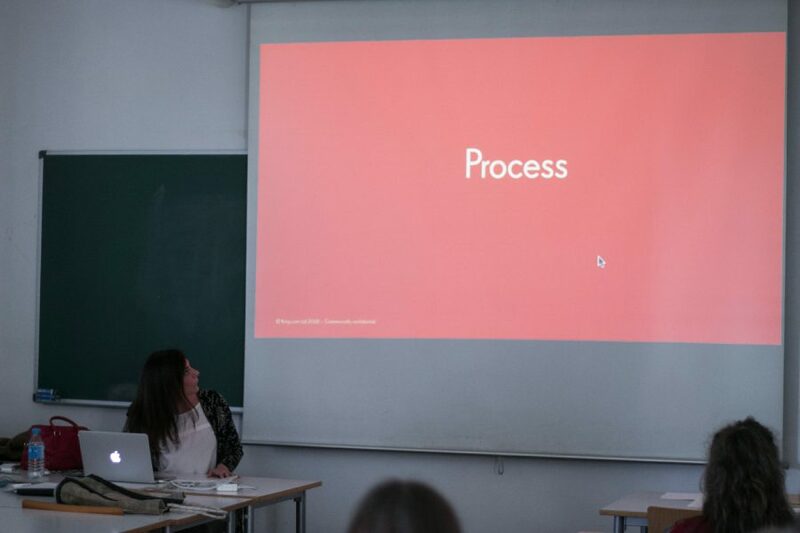 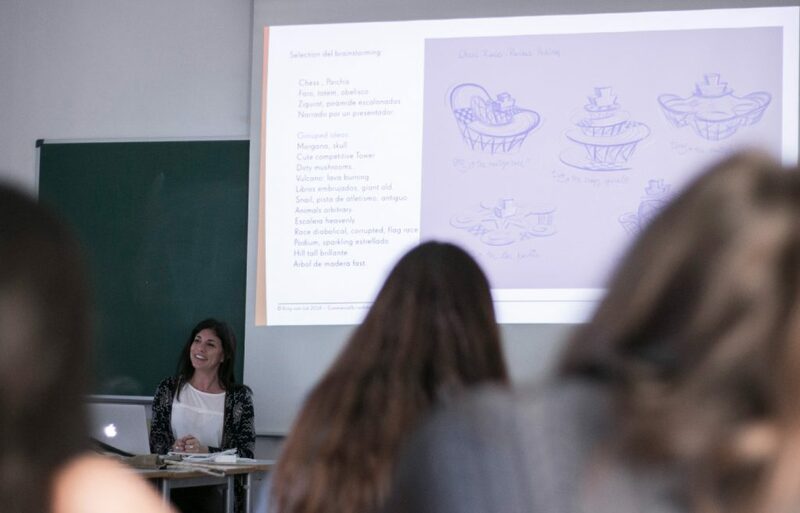 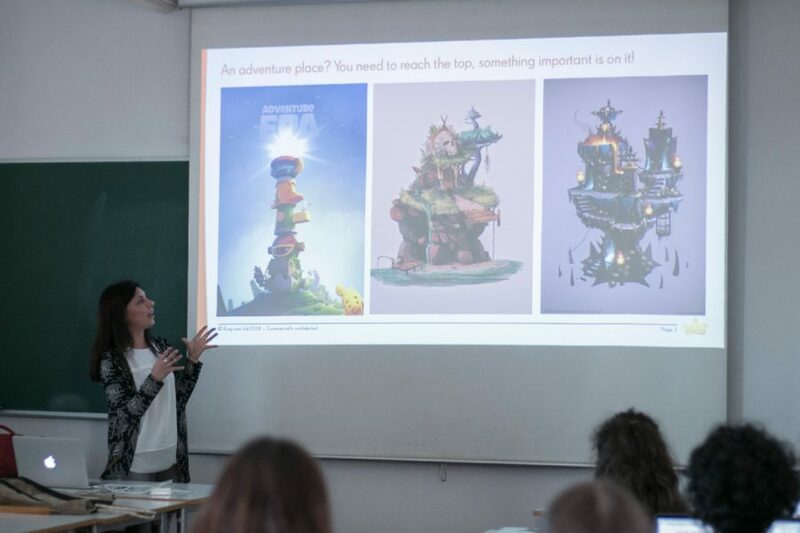 They told us about starting an agency in the middle of the financial crisis, about internal organisation, and about the process behind their projects (for example, stop motion animations for Penguin Random House’s audiobooks). 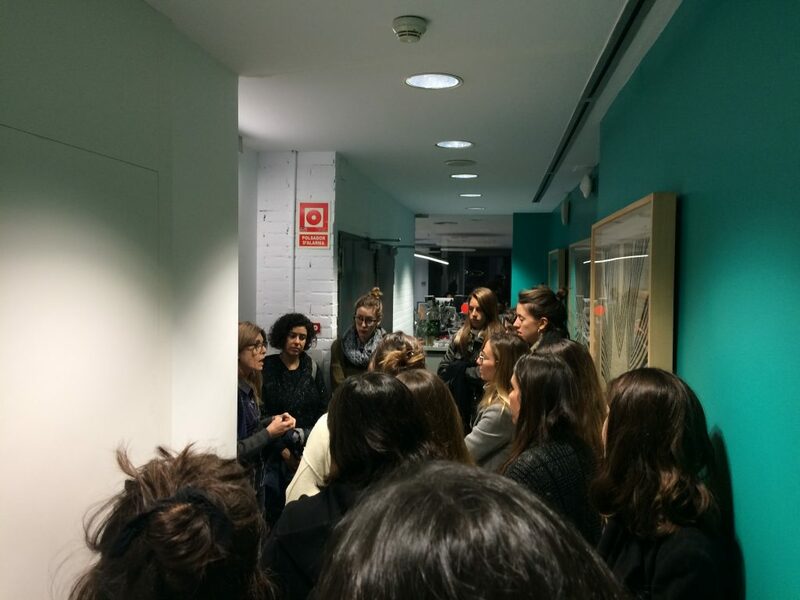 It was interesting to see such different agencies, each one with its own work methods. 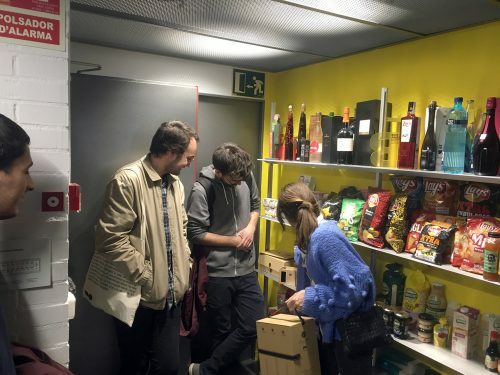 Thanks a lot for treating us well! 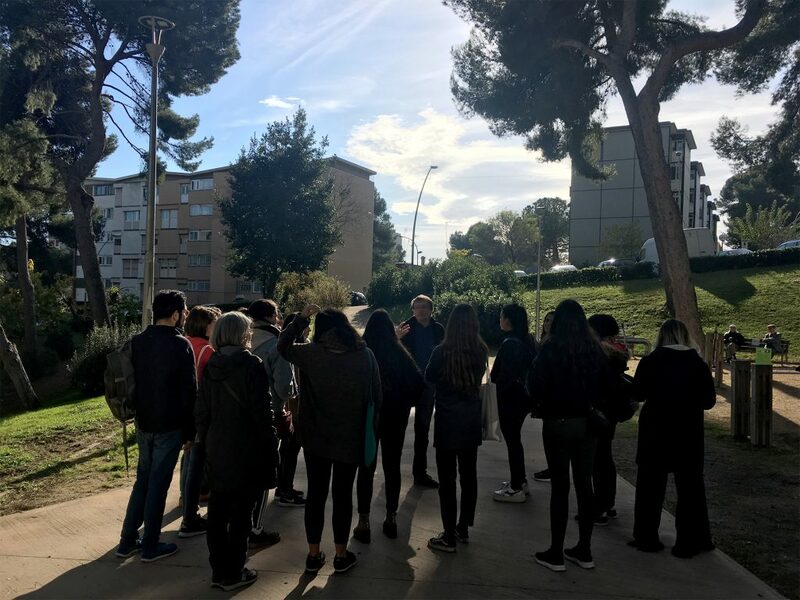 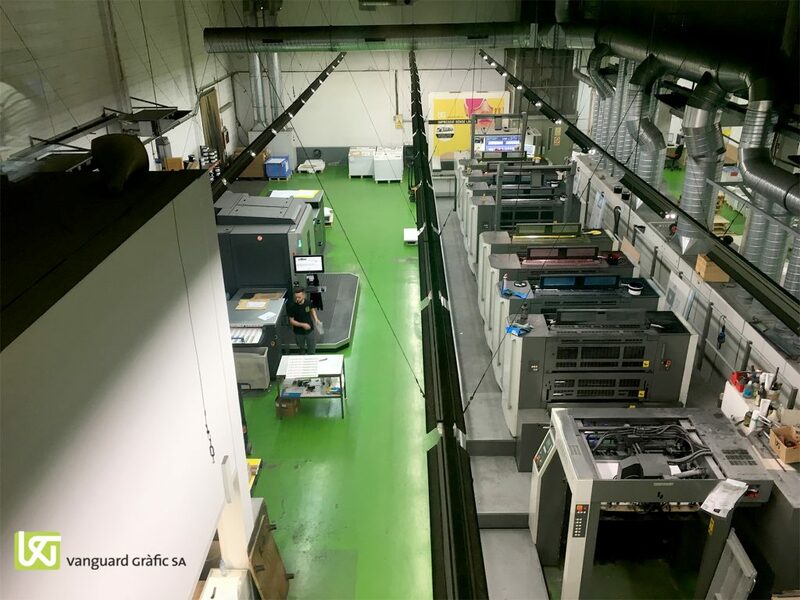 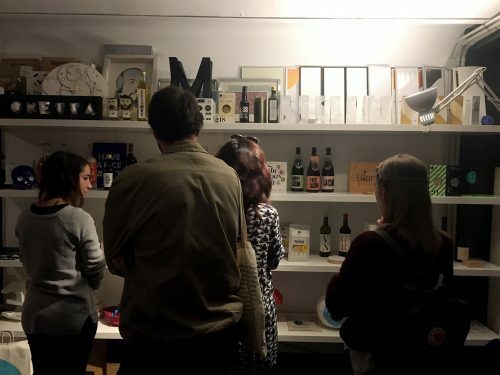 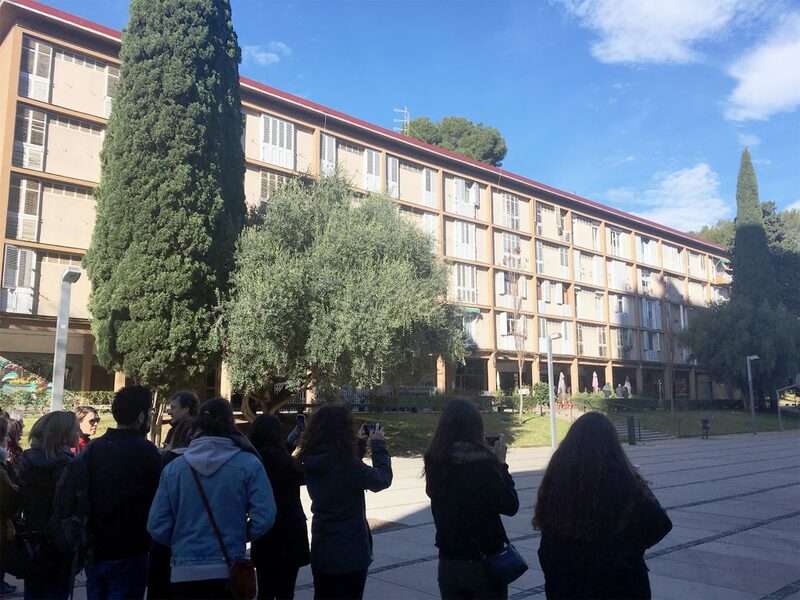 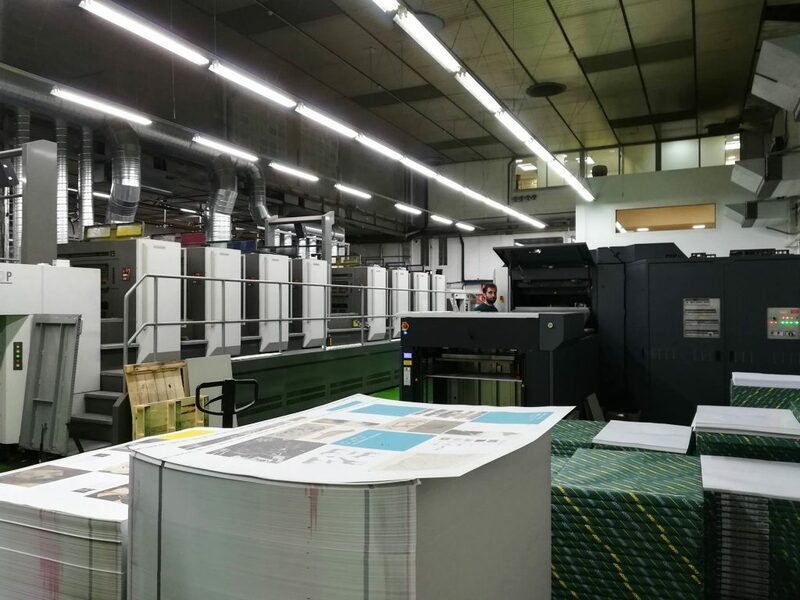 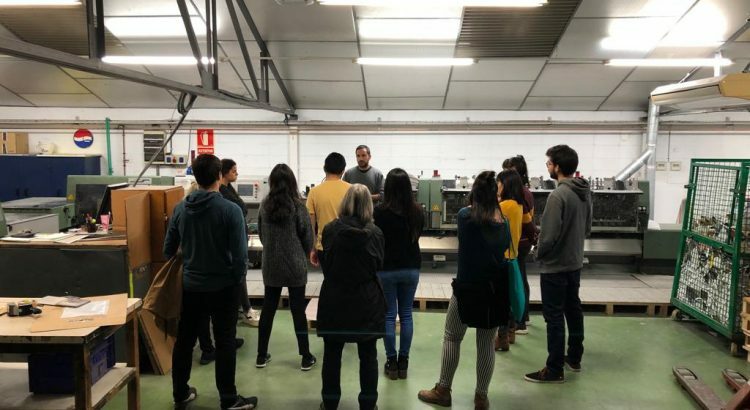 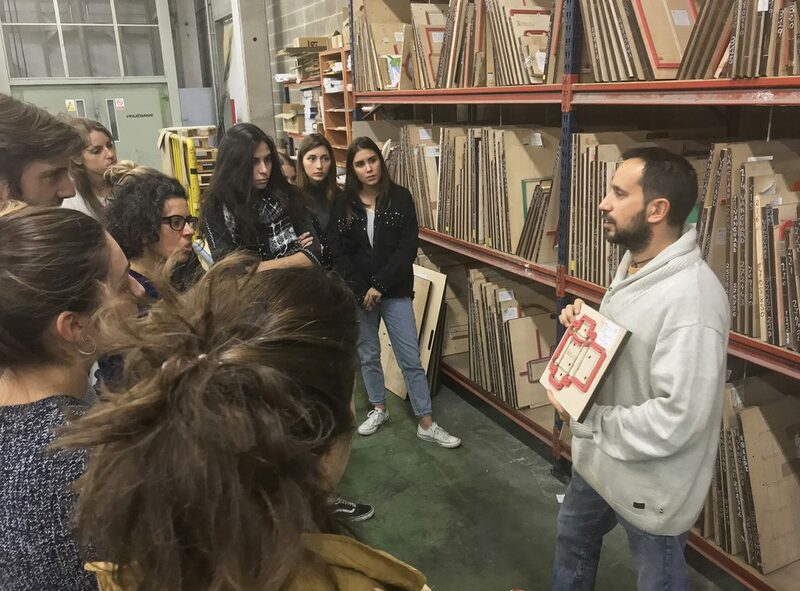 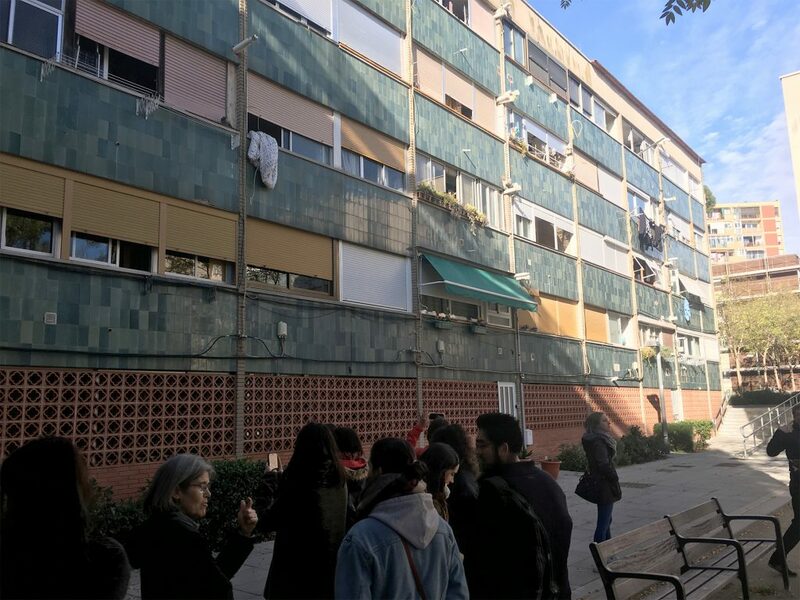 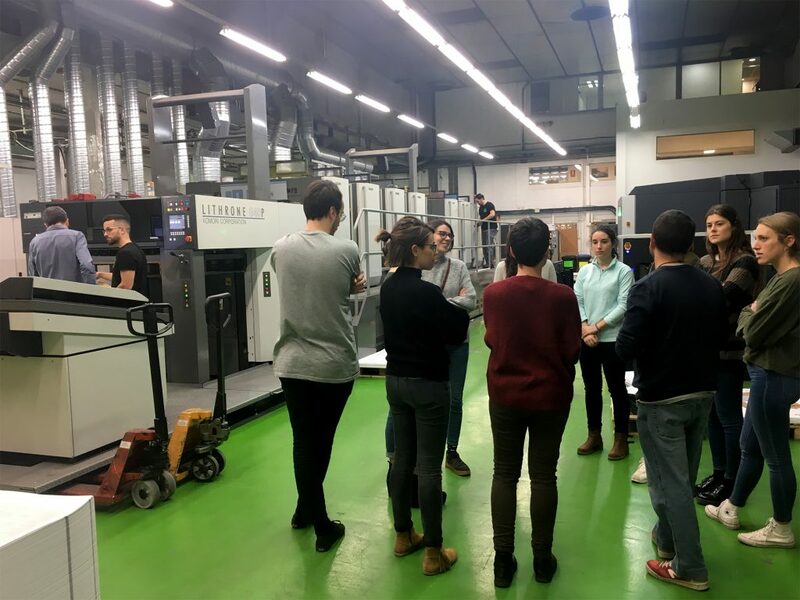 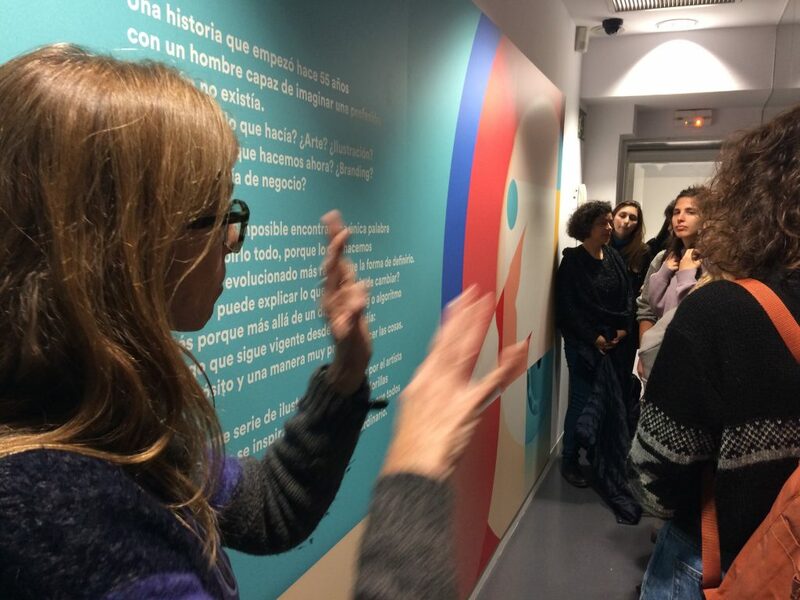 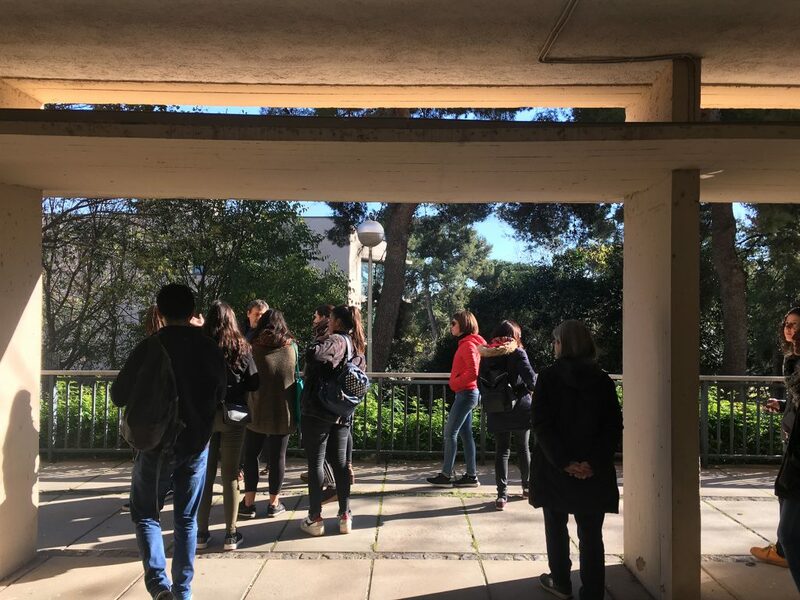 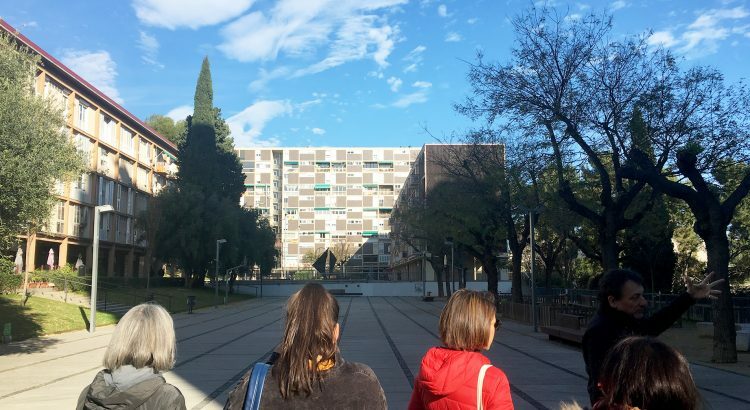 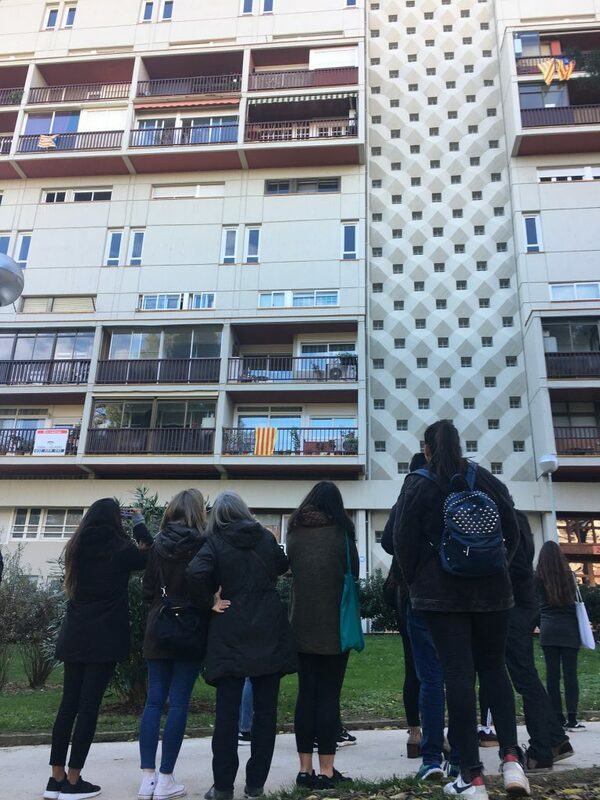 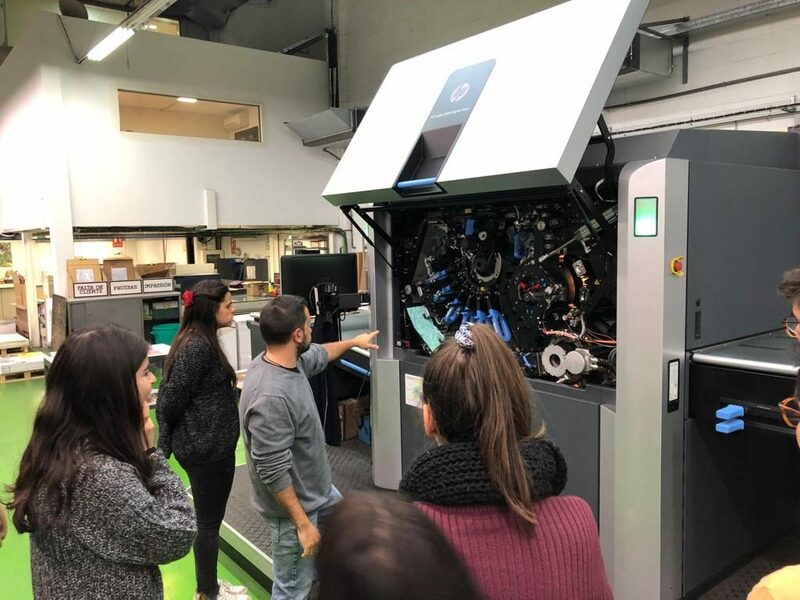 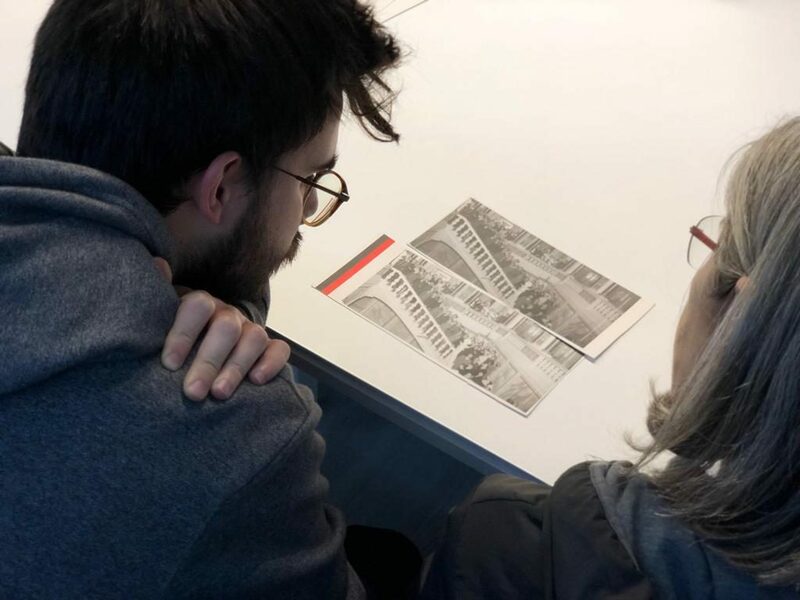 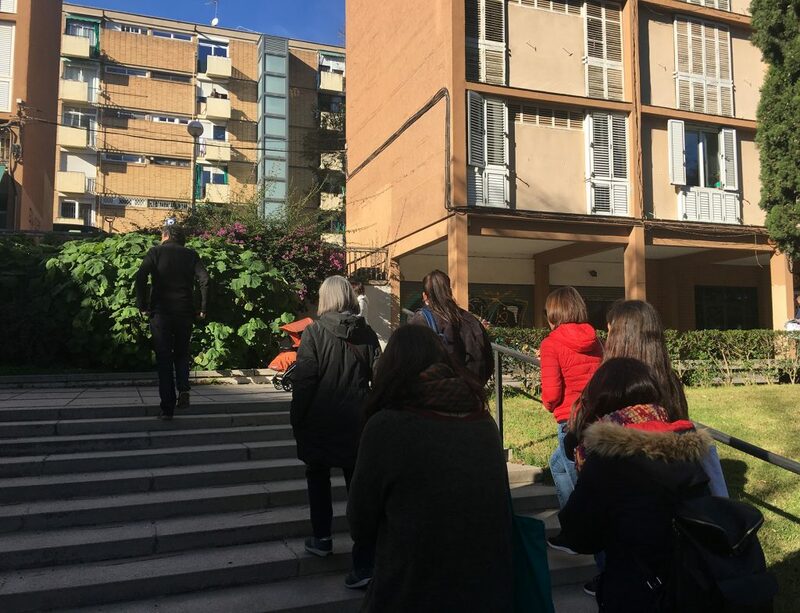 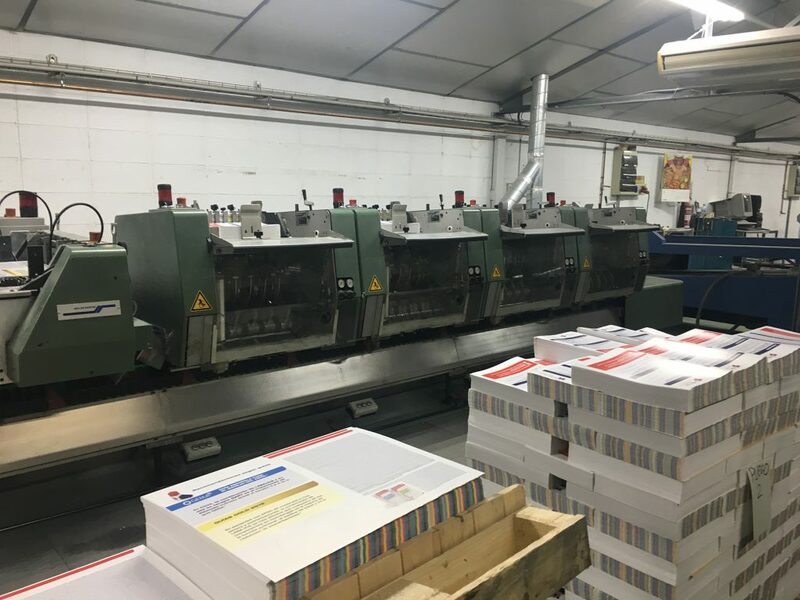 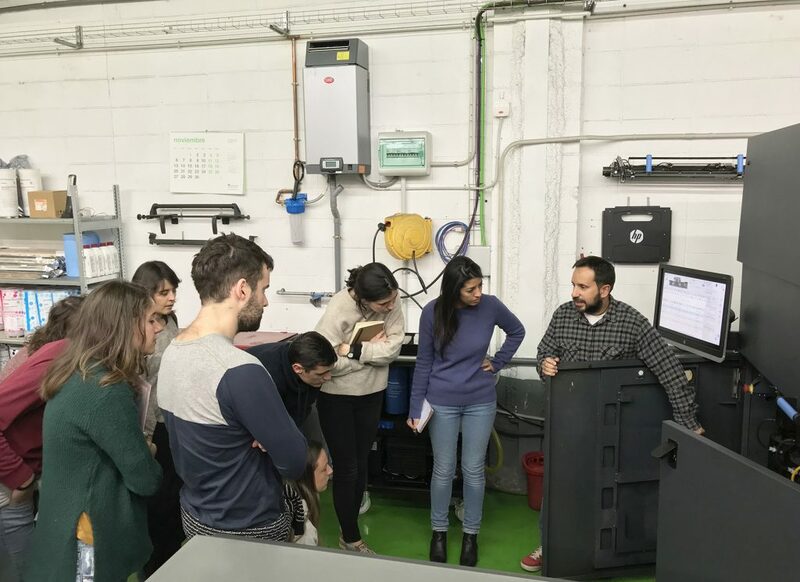 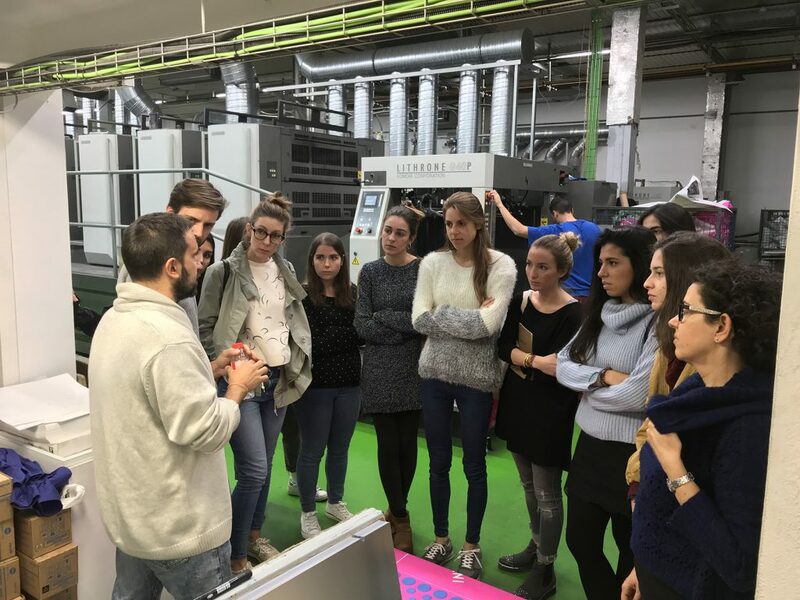 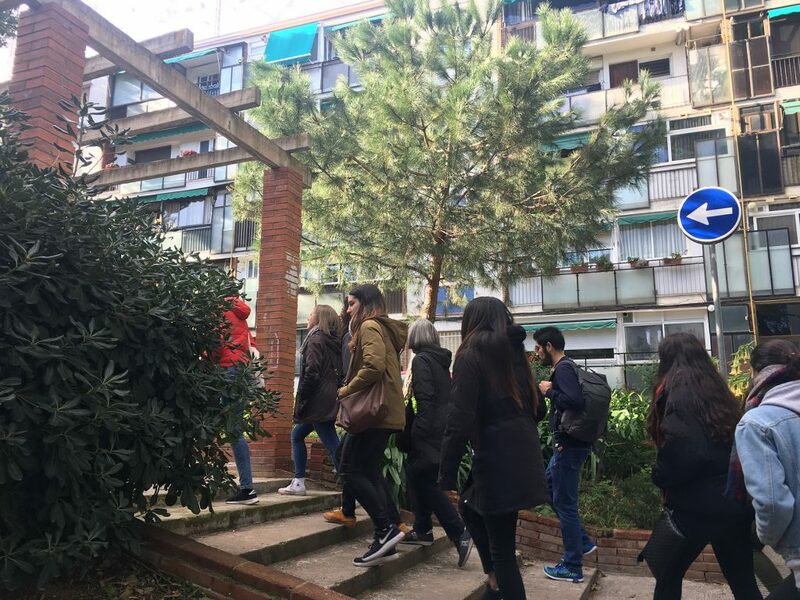 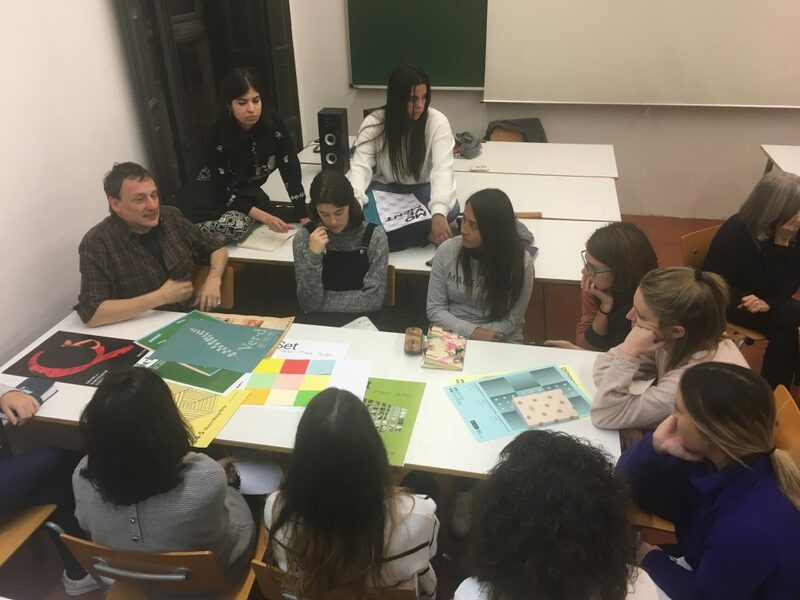 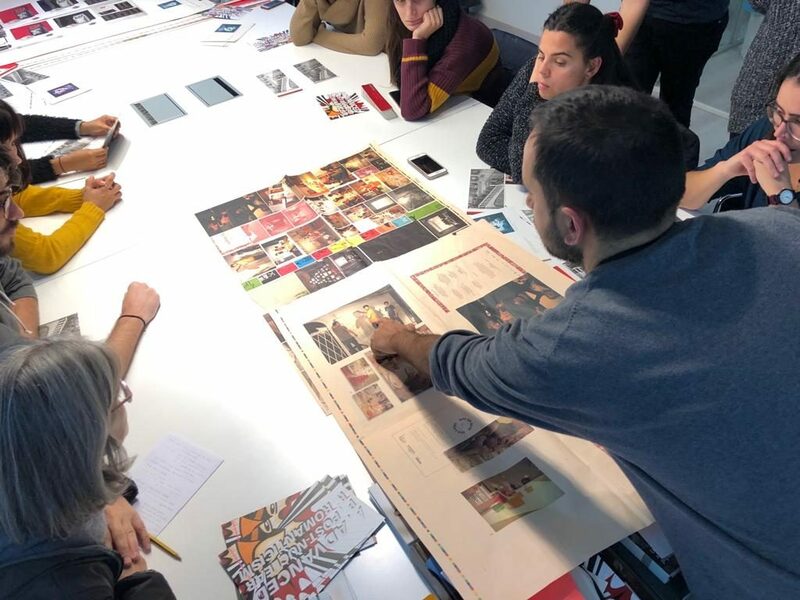 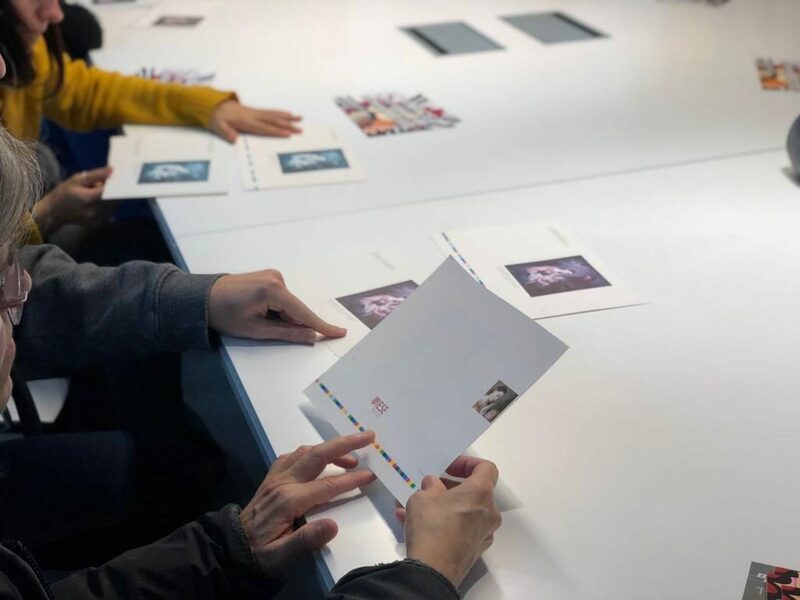 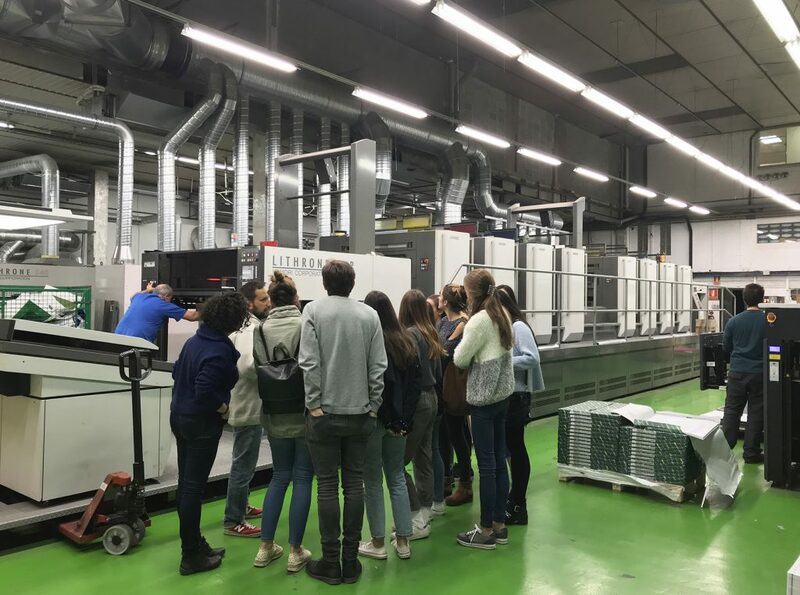 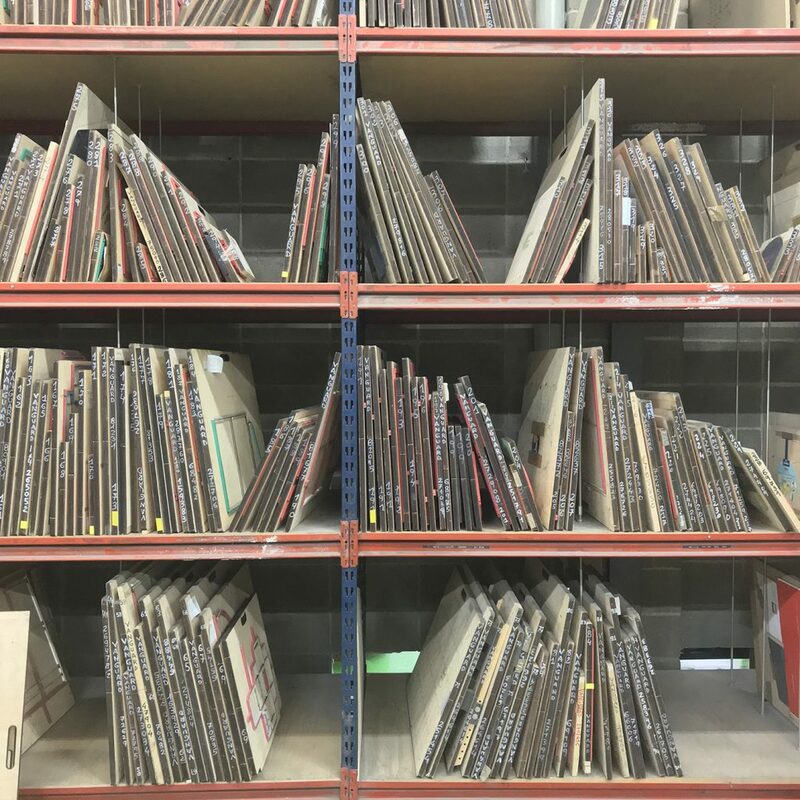 In November the students paid a visit to Vanguard Gràfic printing house, one of the most prestigious in the city, with more than 100 years of history. 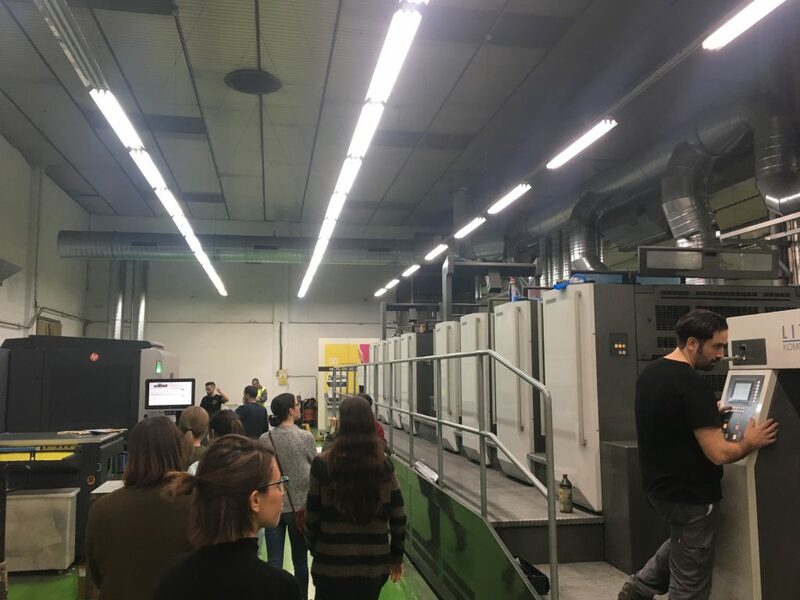 They had a chance to see the machinery in action, along with offset plates, die cutters and other tools used in this profession. 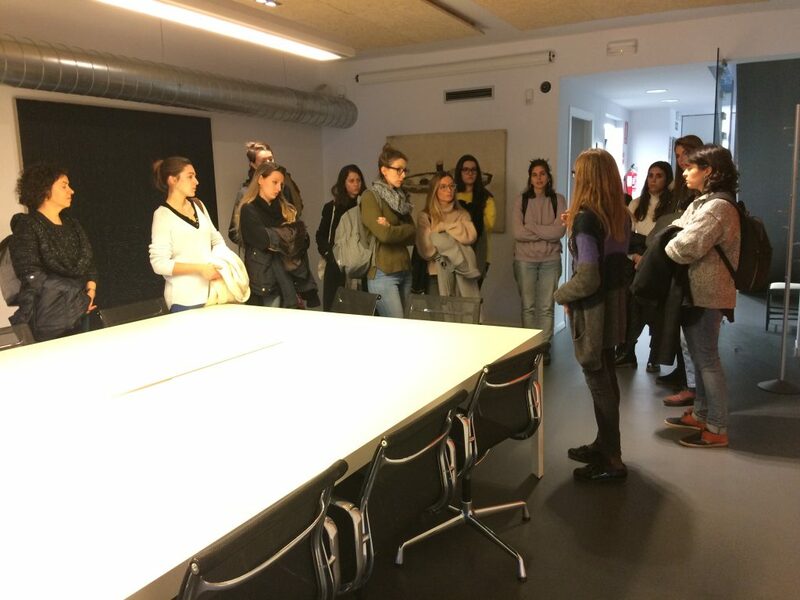 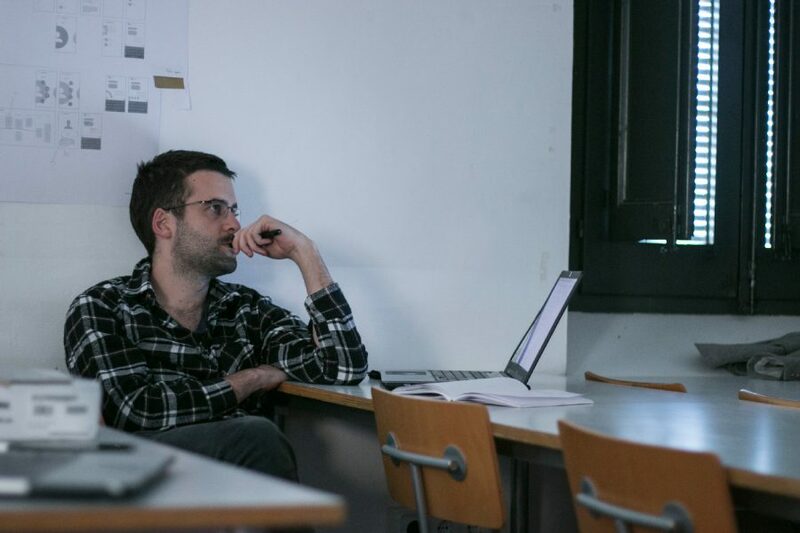 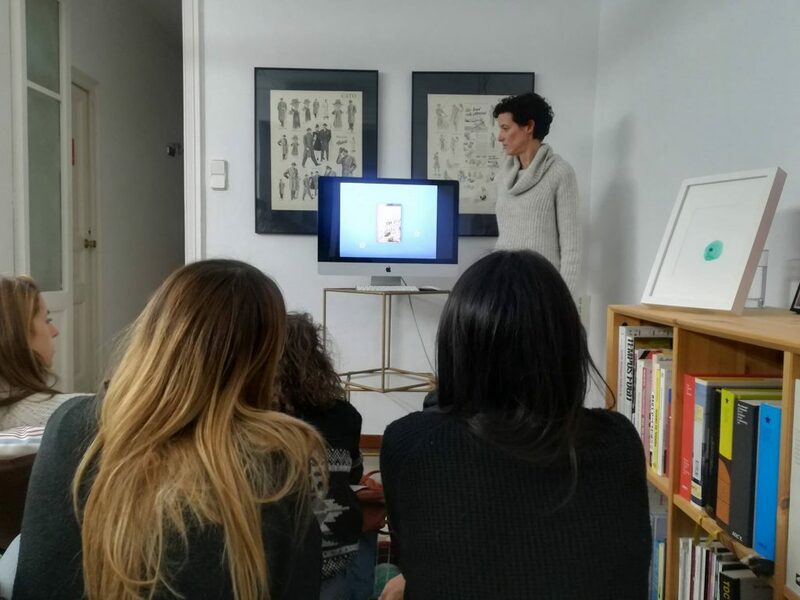 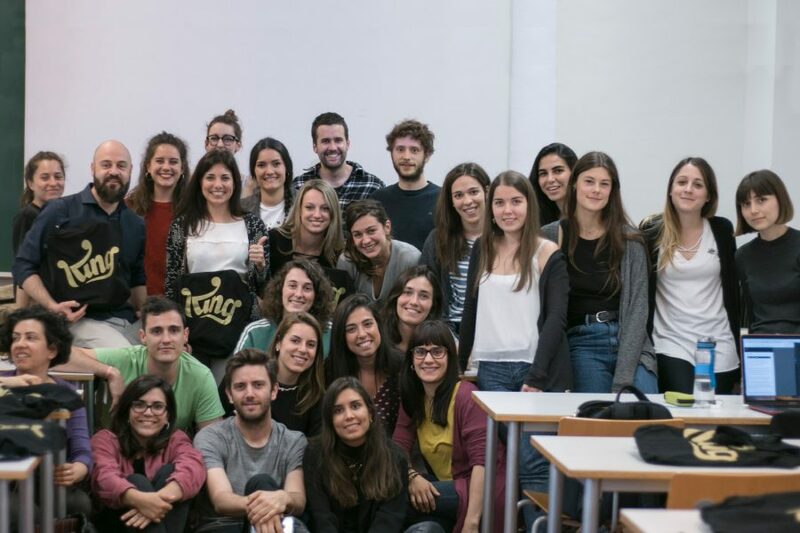 Later they met Josep Amat, who told them about materials, different projects, and tips for being better at solving design-related problems. 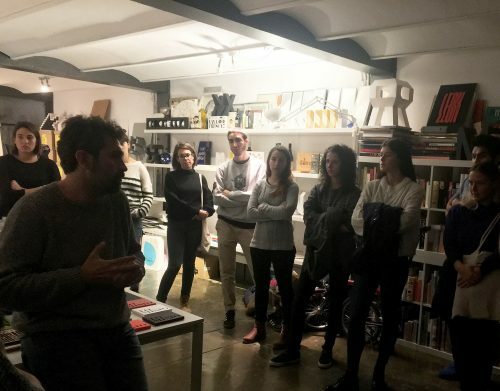 It was an opportunity to talk through doubts, to get an idea of how does a printing house work, and to highlight the importance of an understanding between the designer and the printer.